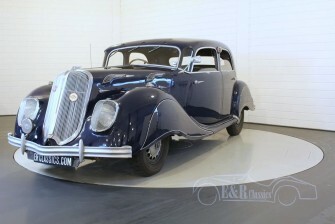 Pure ‘Art-Deco’ on wheels. 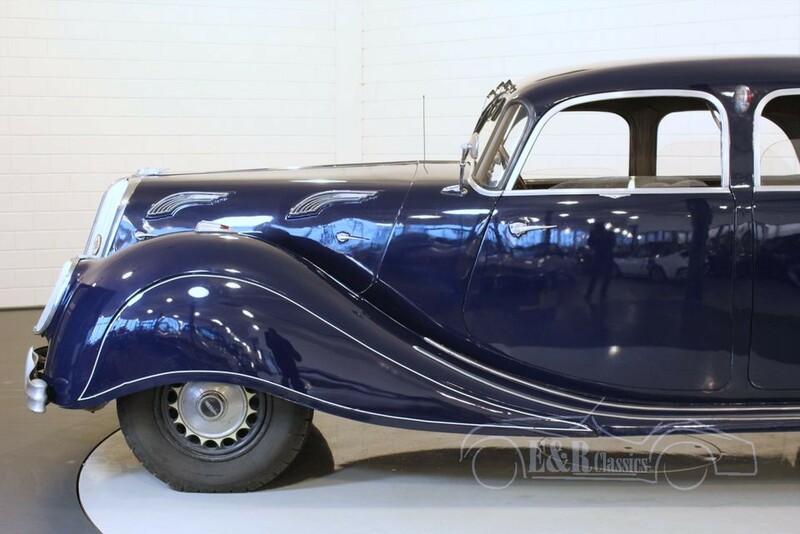 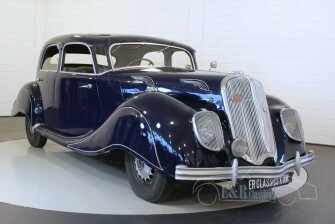 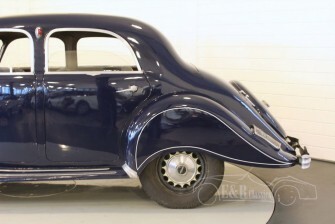 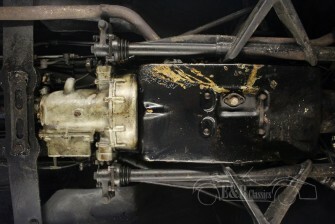 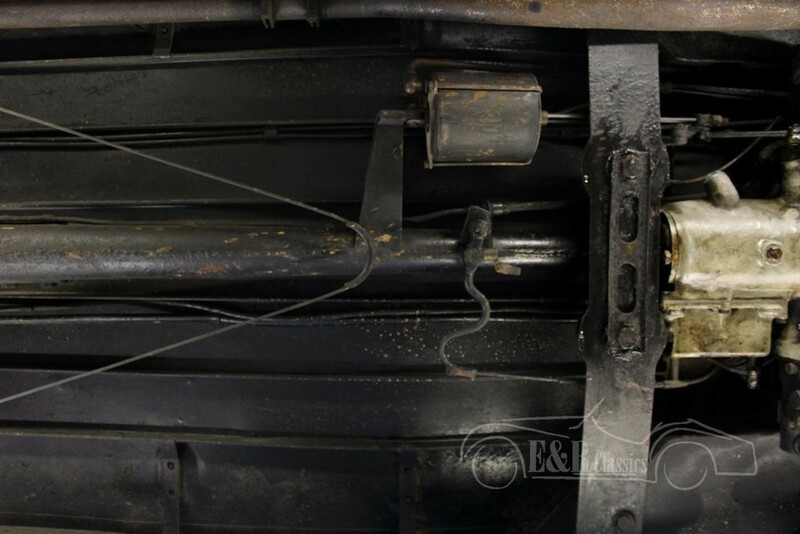 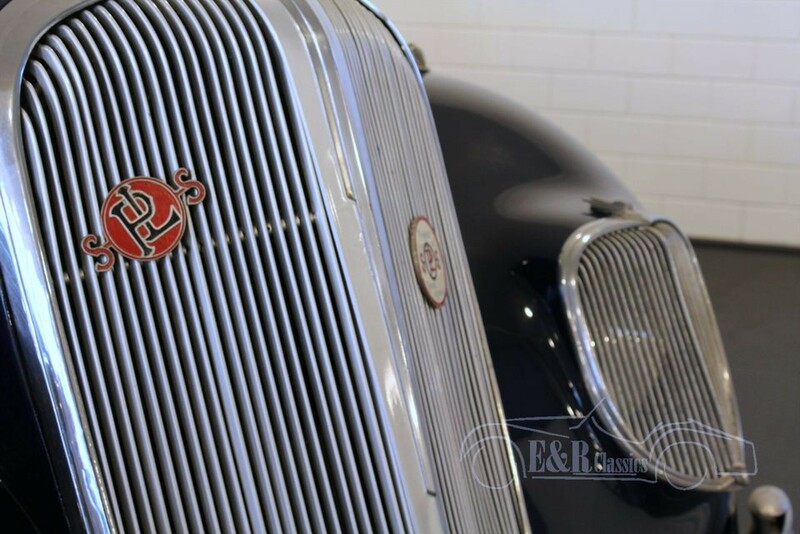 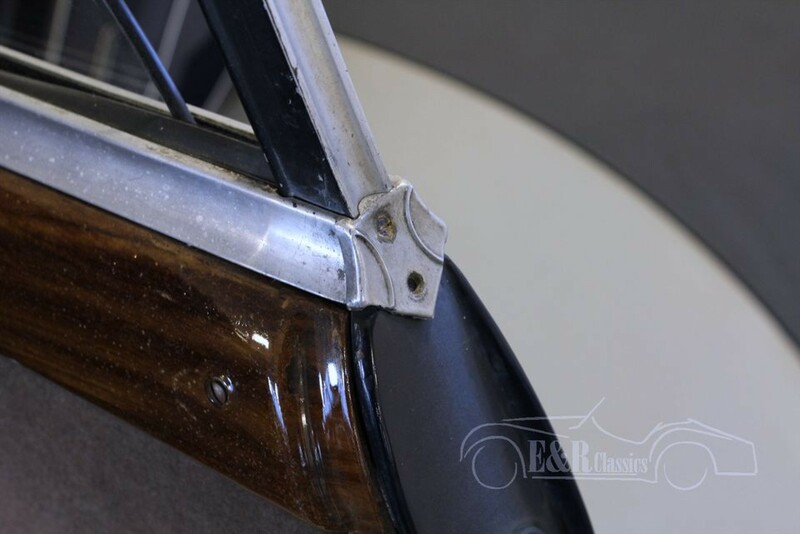 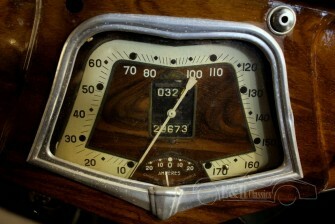 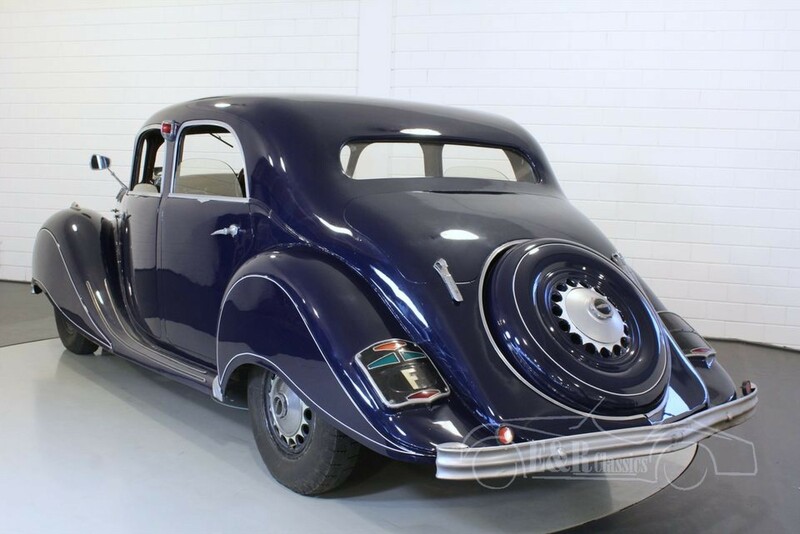 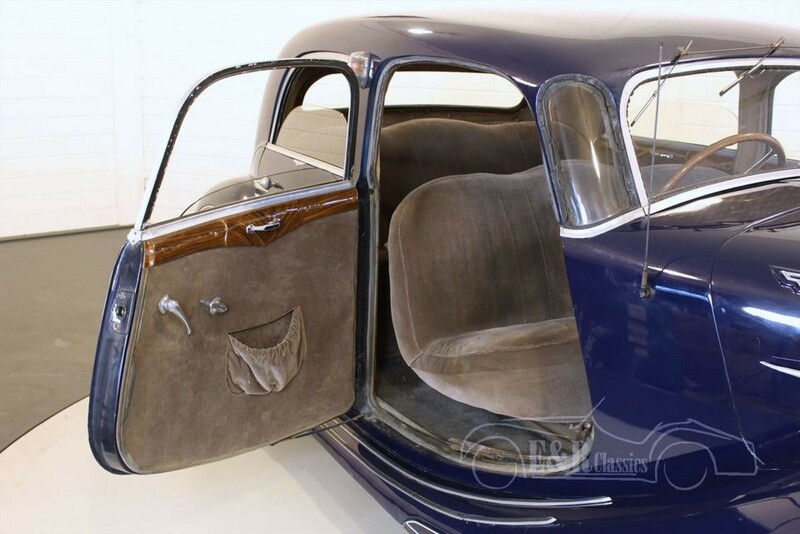 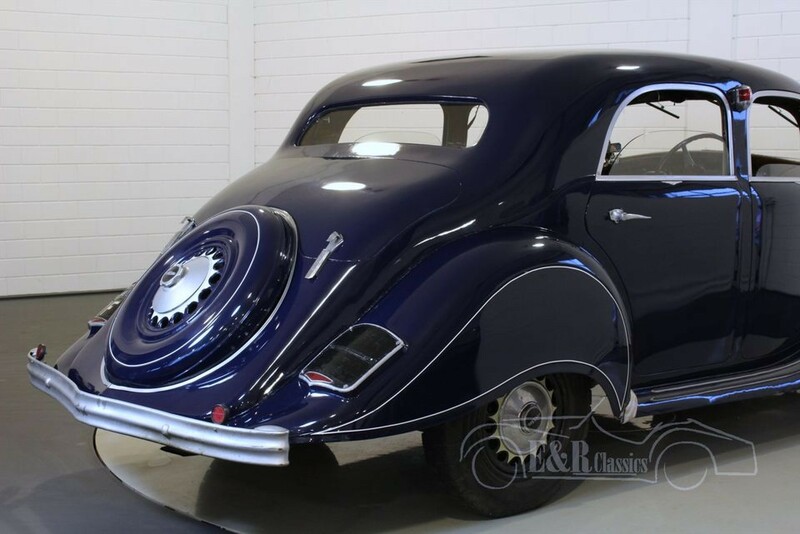 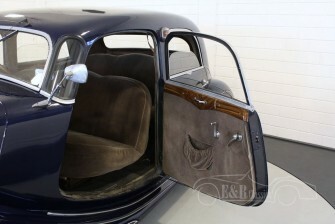 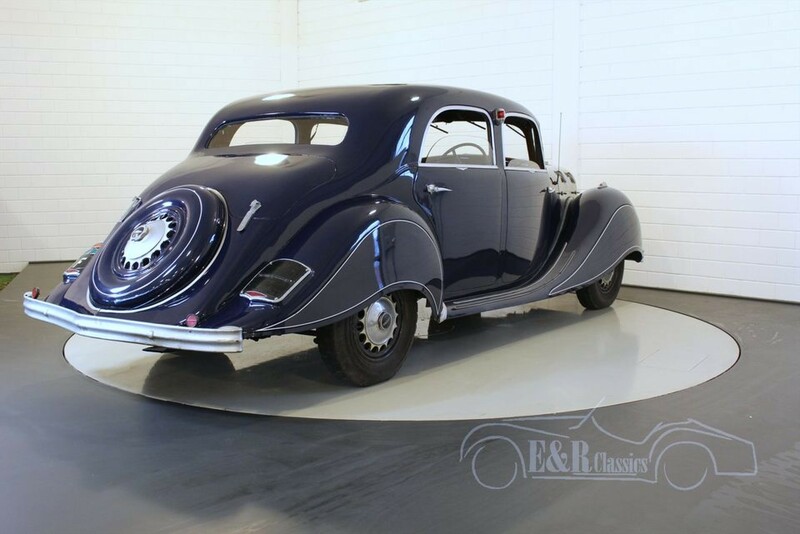 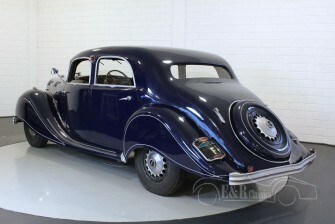 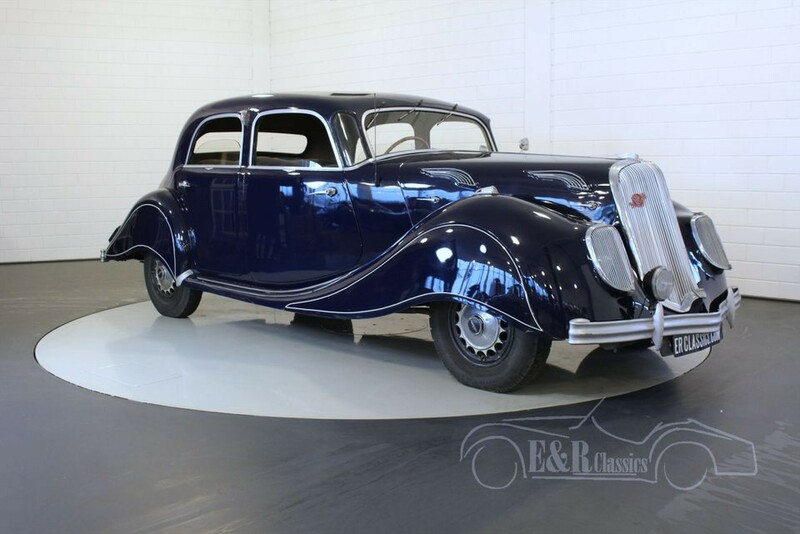 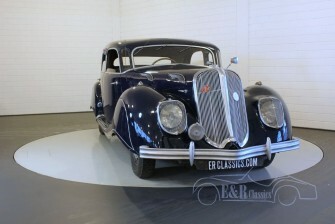 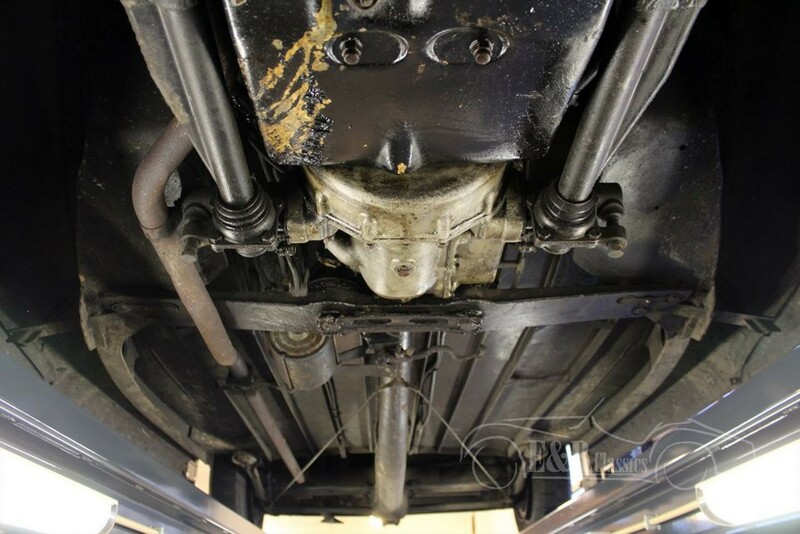 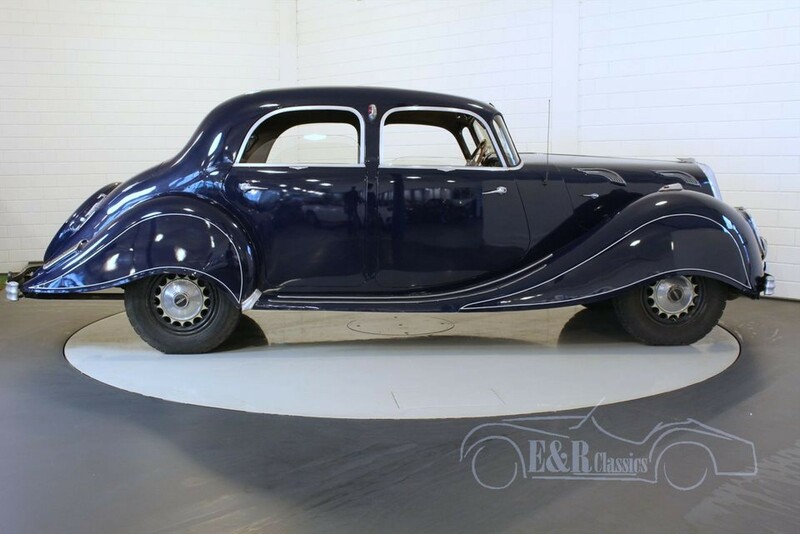 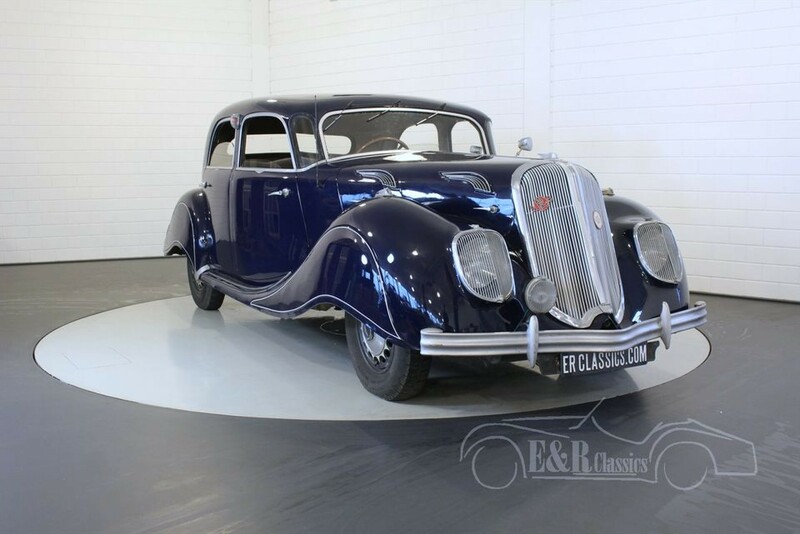 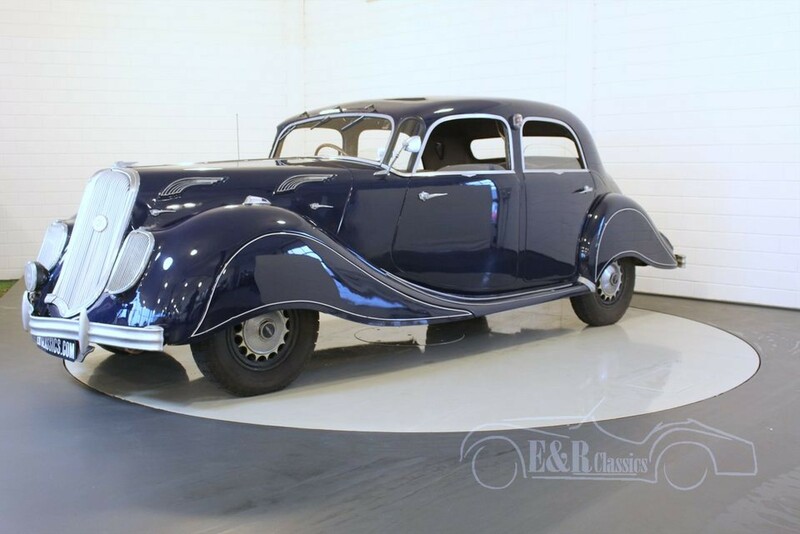 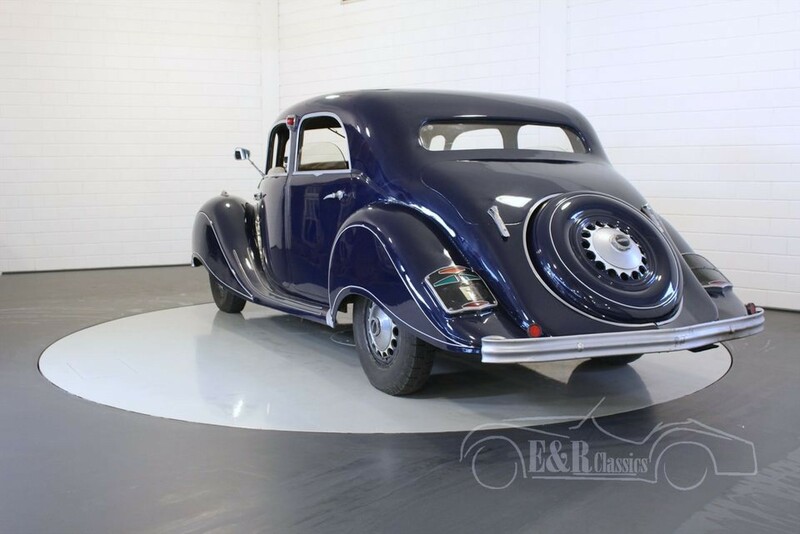 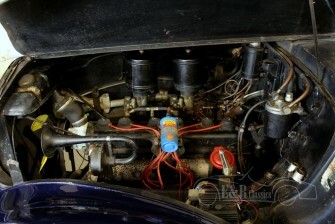 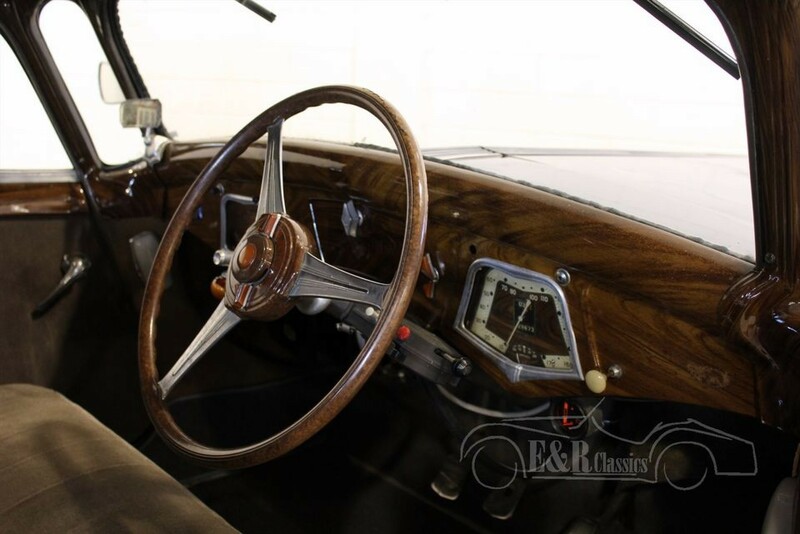 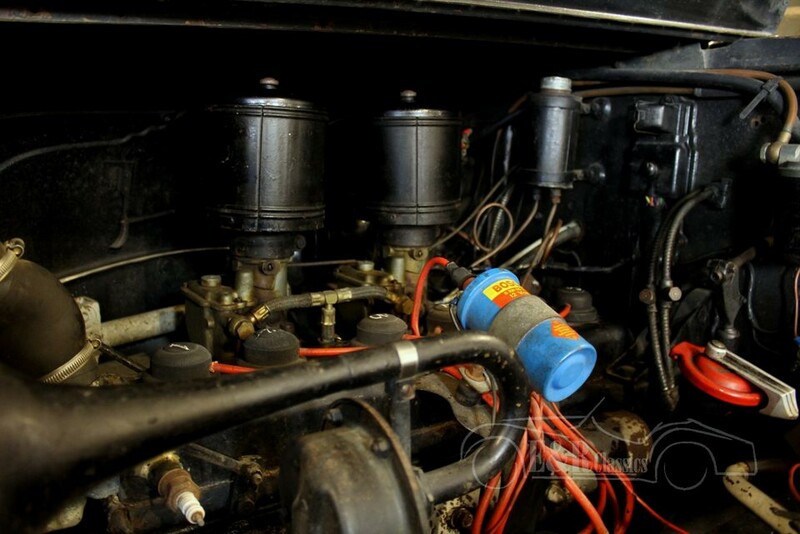 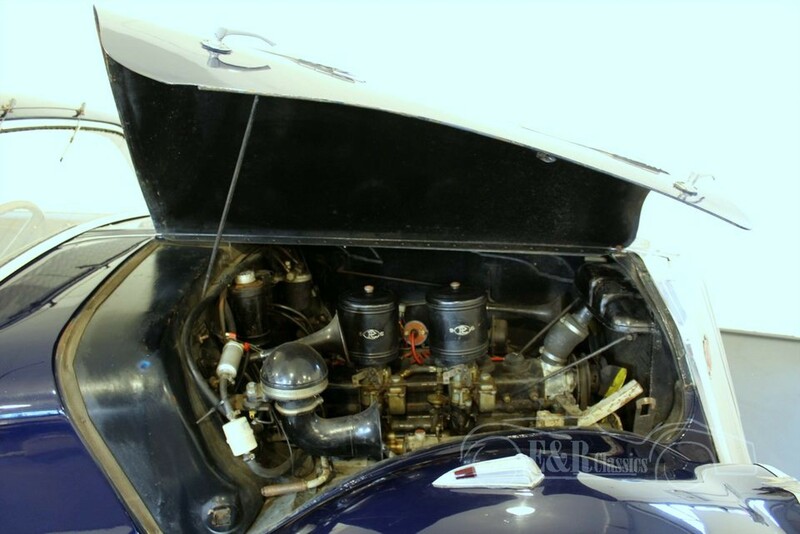 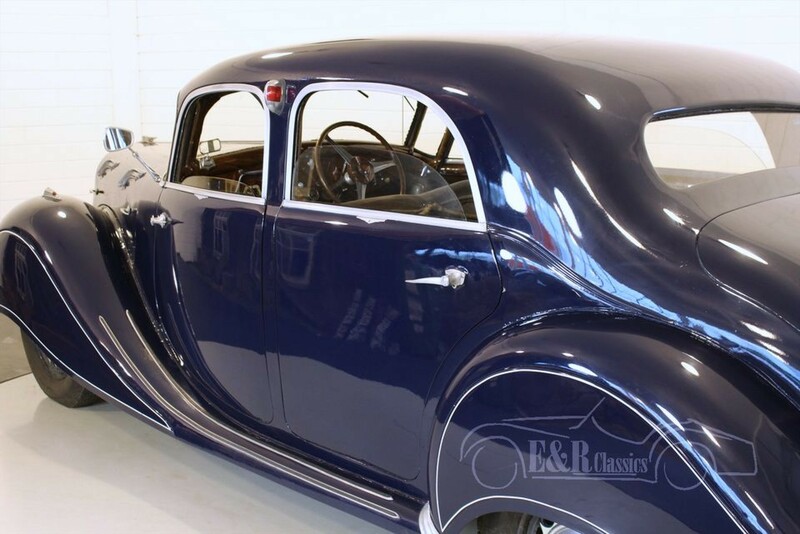 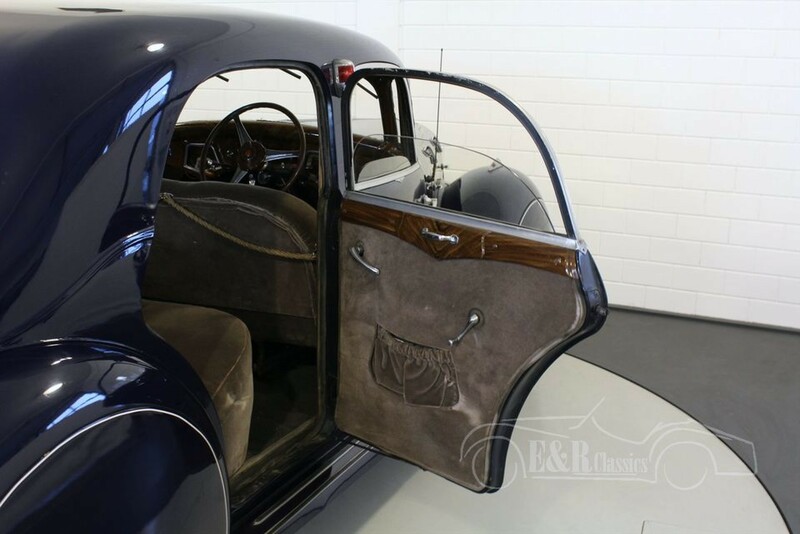 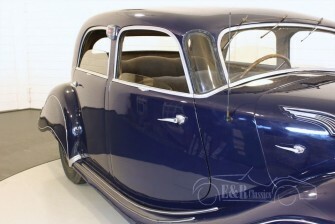 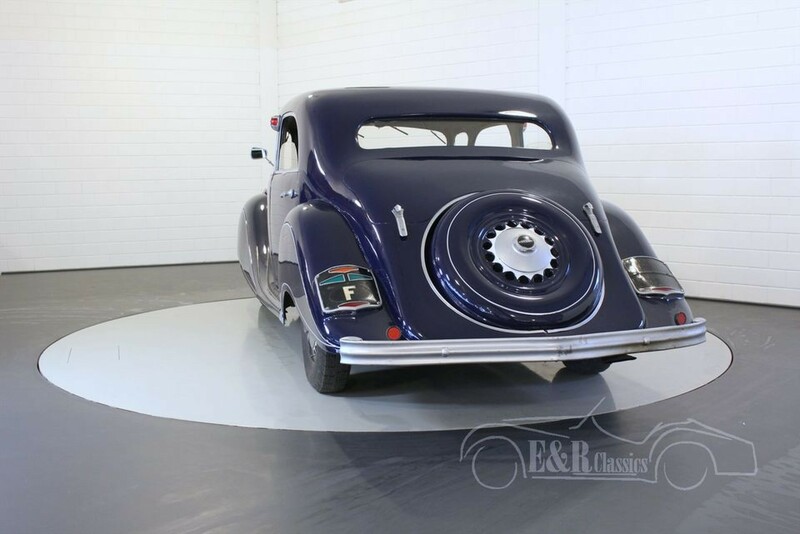 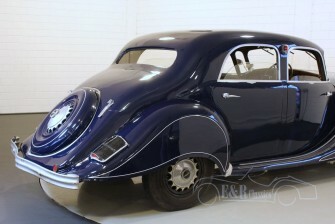 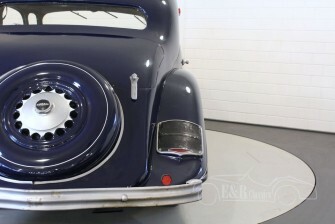 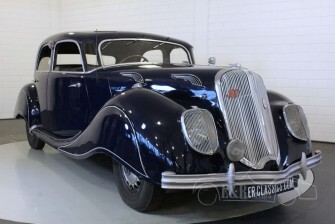 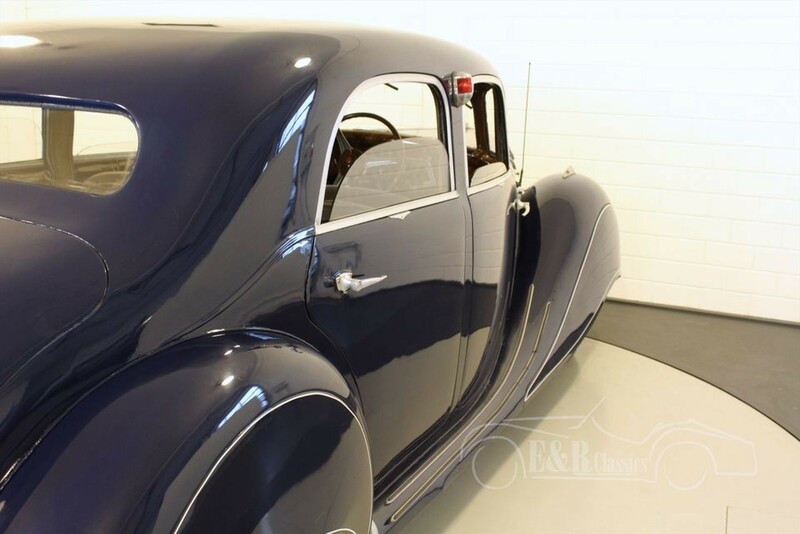 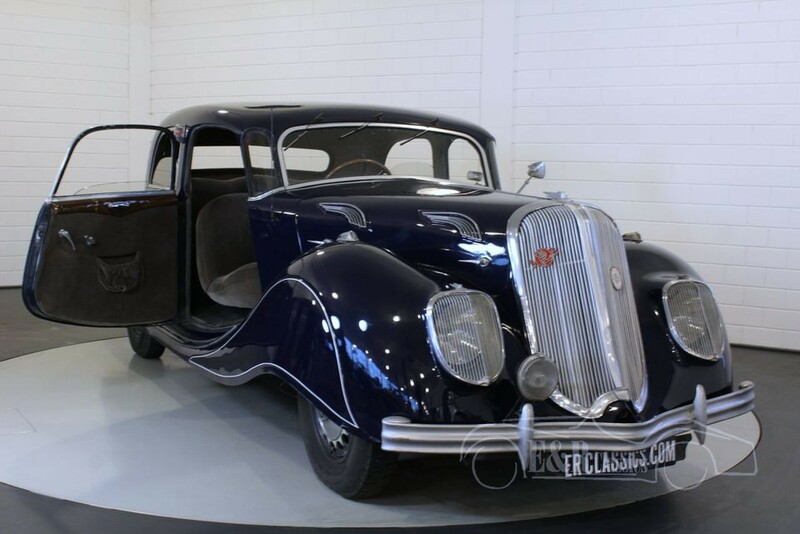 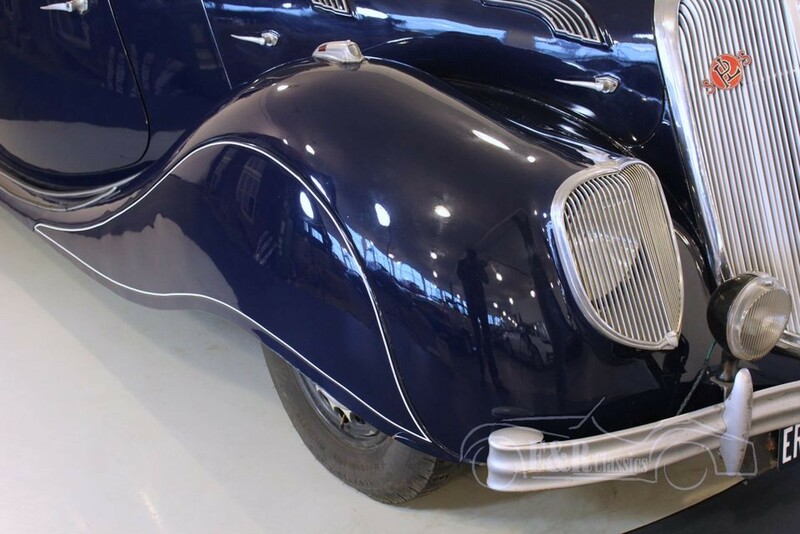 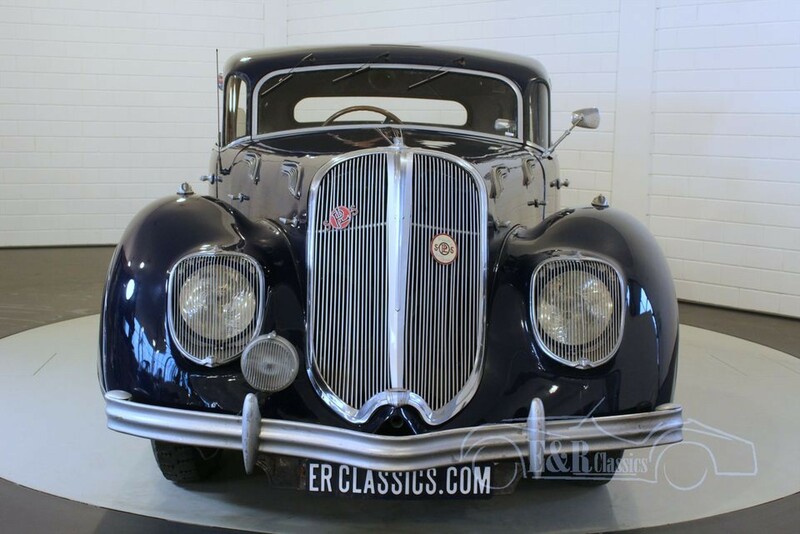 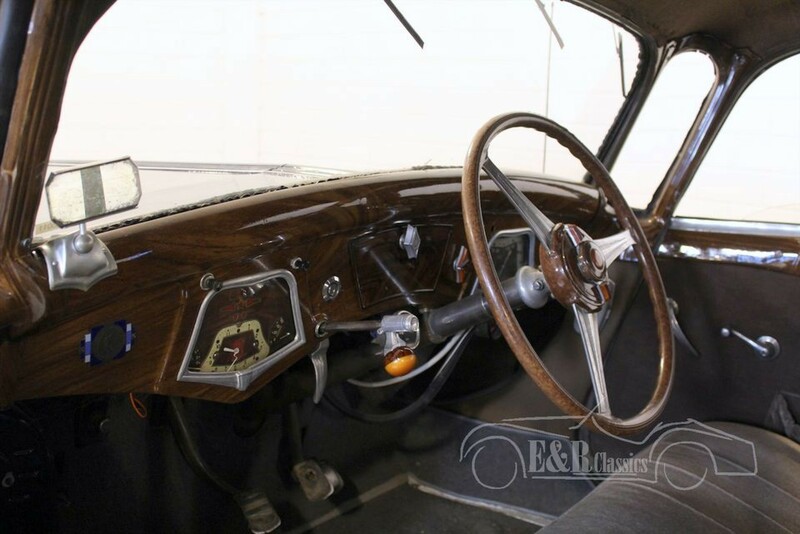 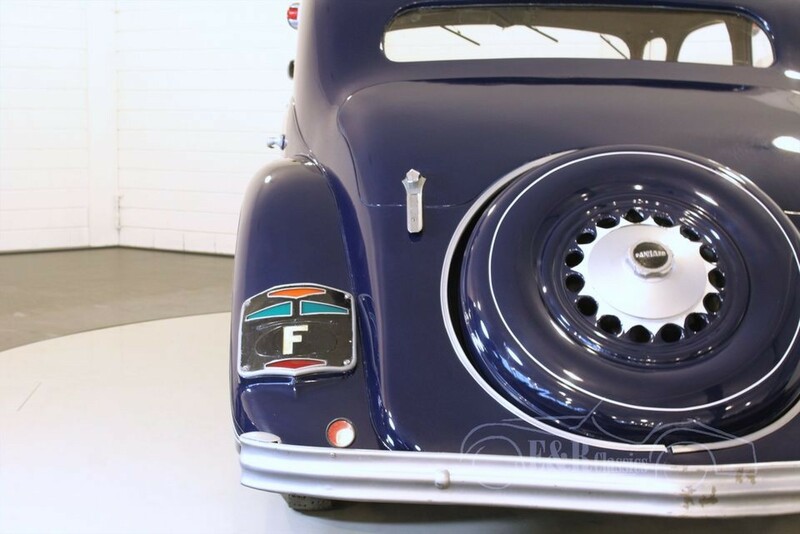 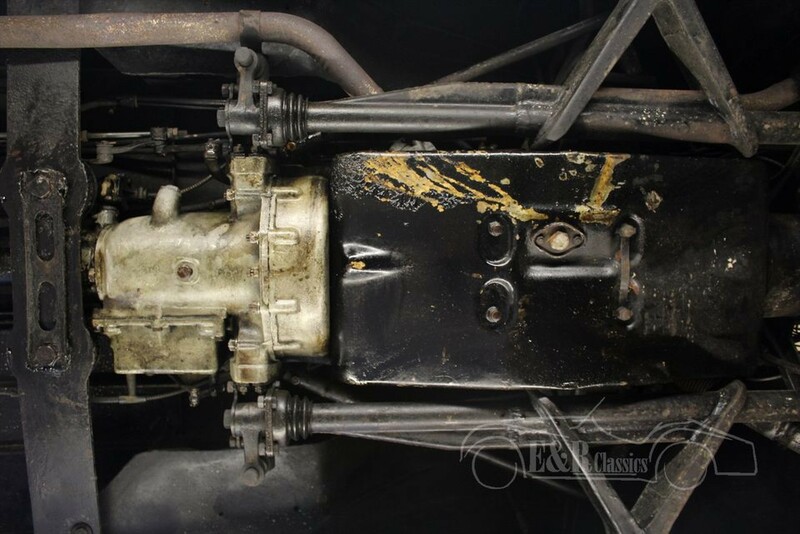 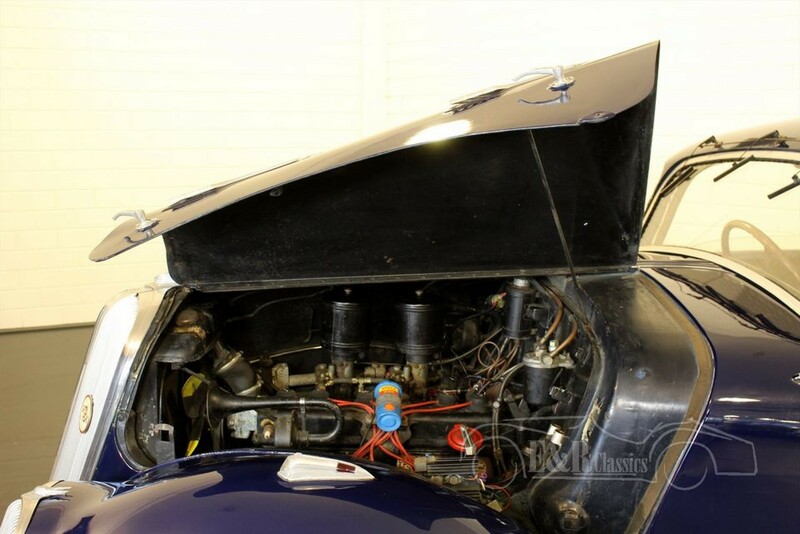 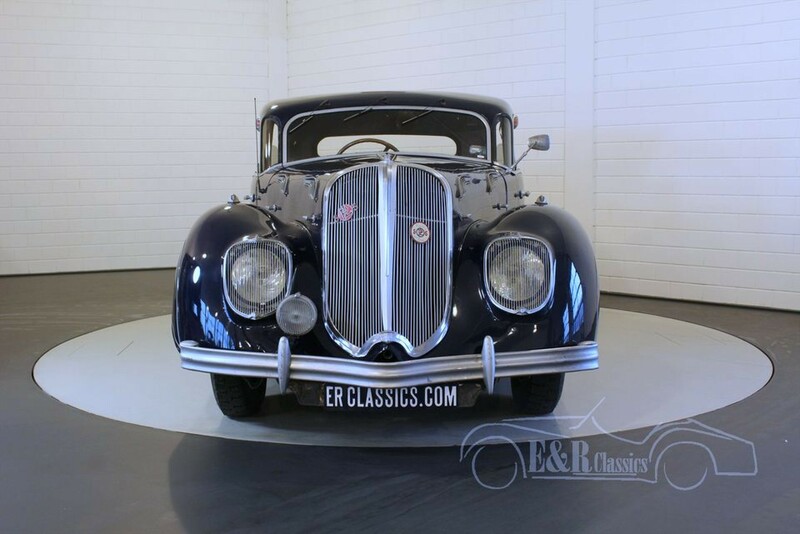 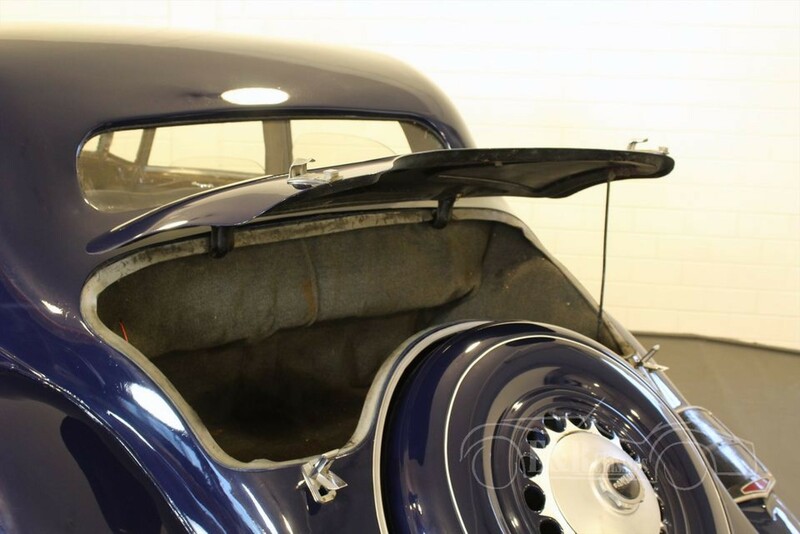 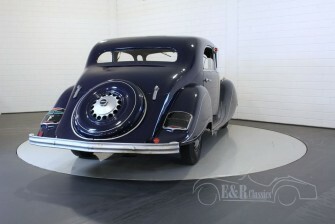 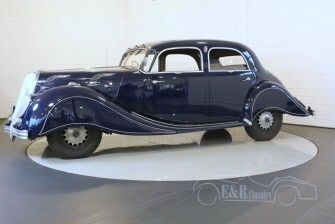 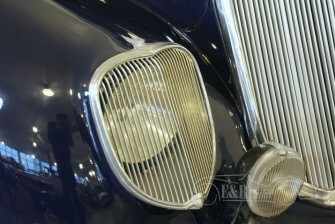 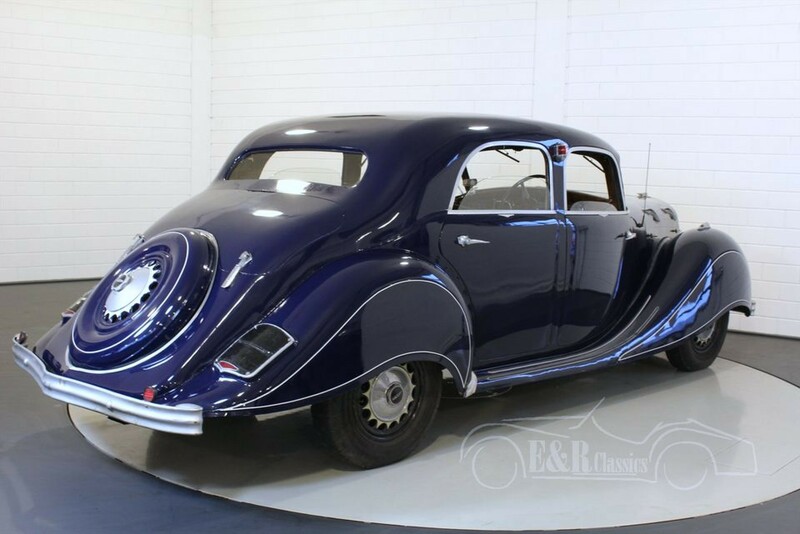 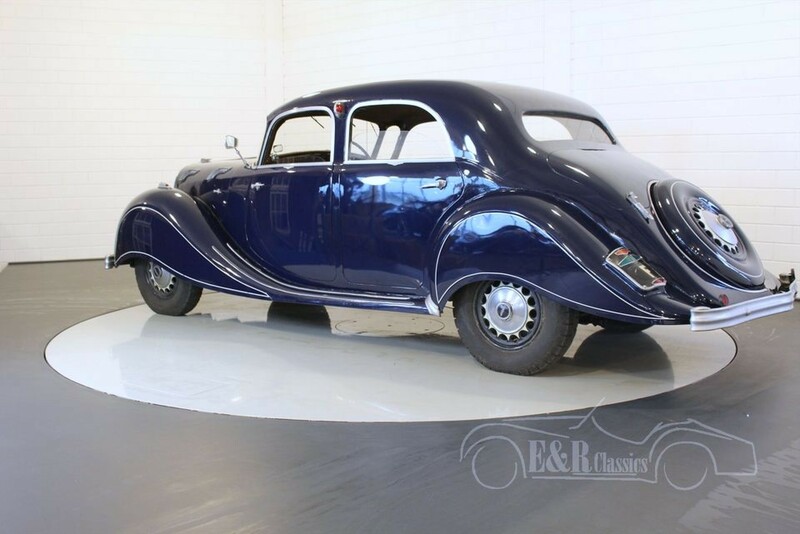 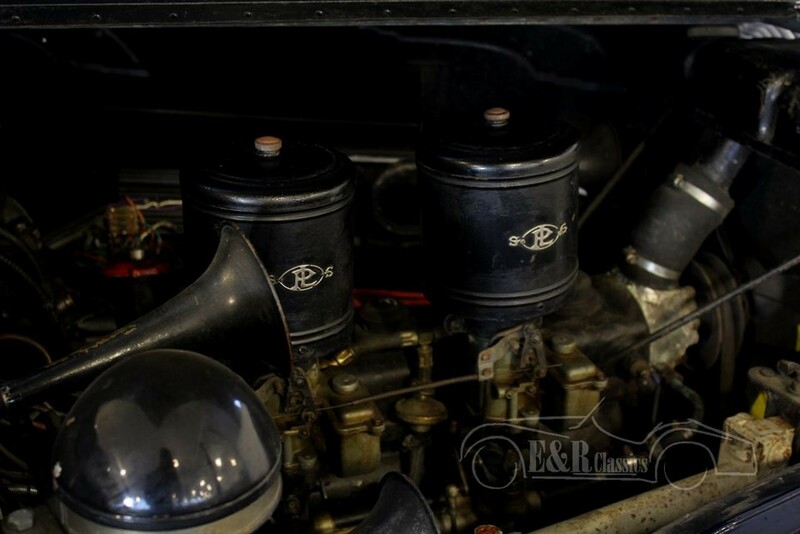 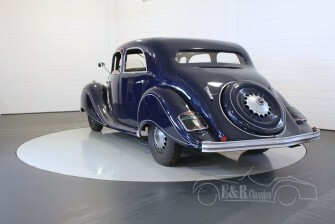 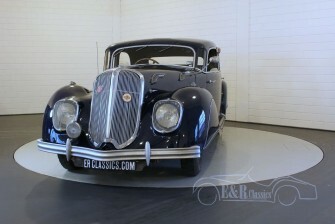 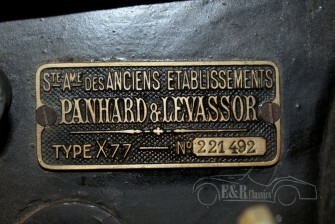 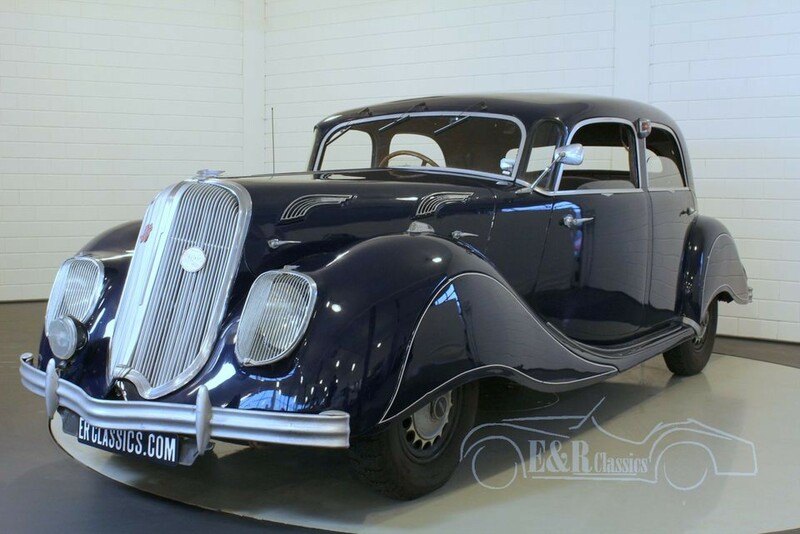 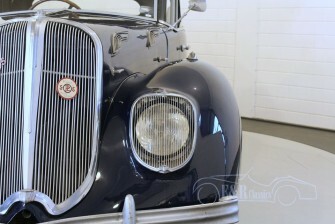 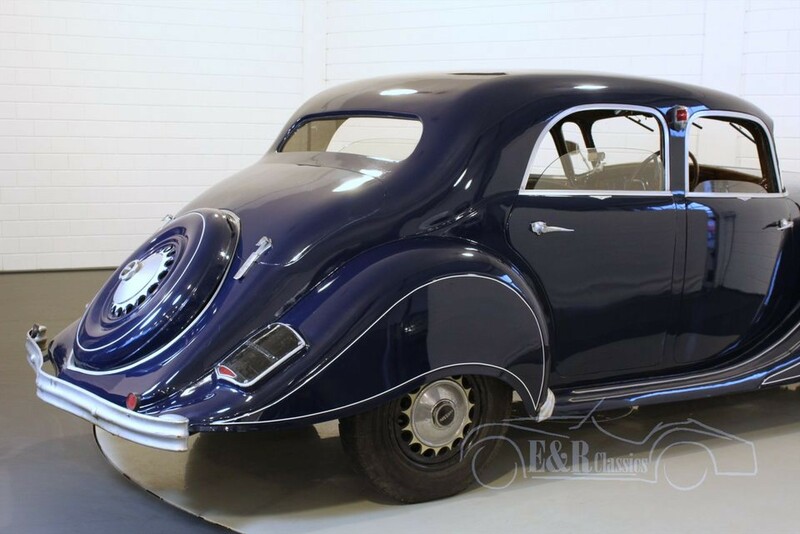 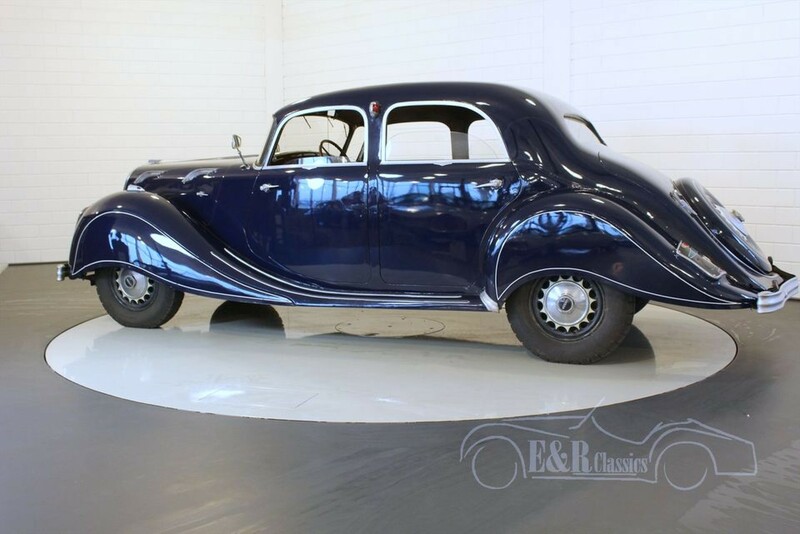 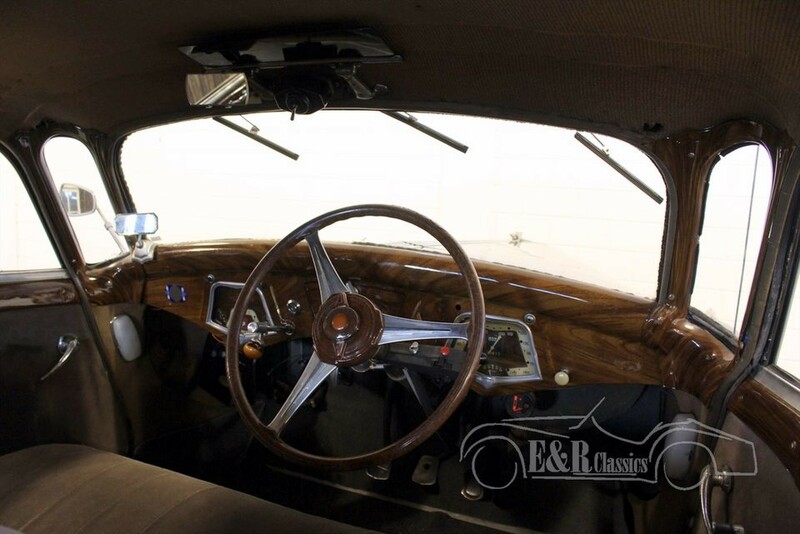 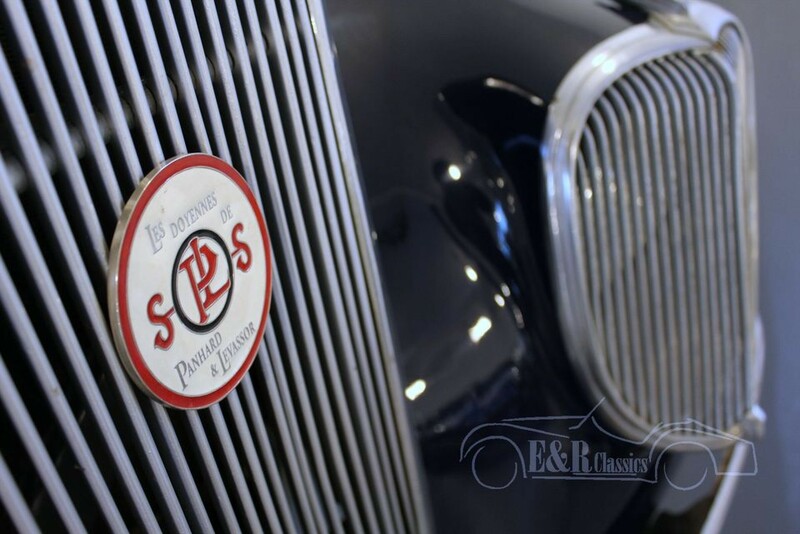 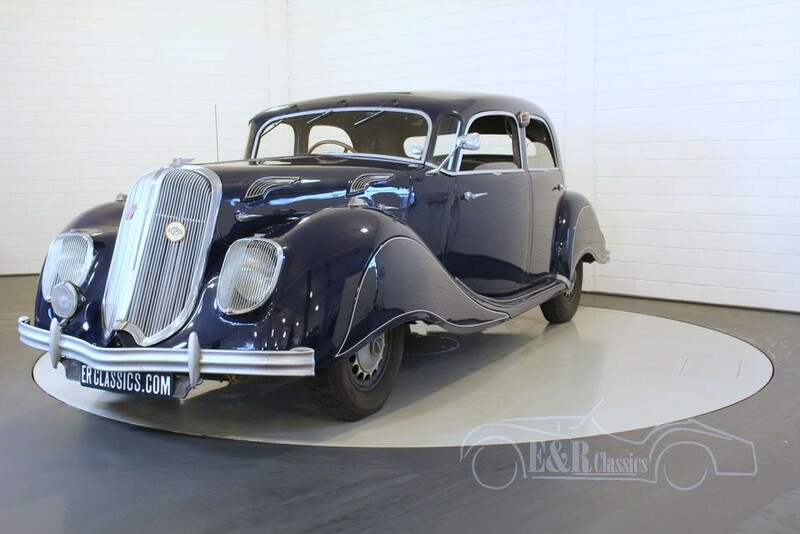 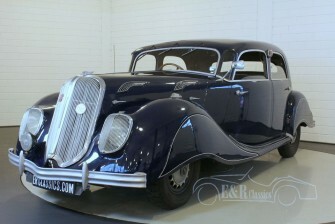 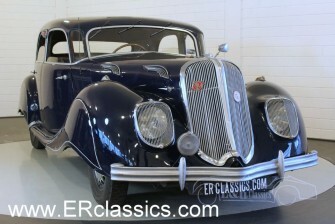 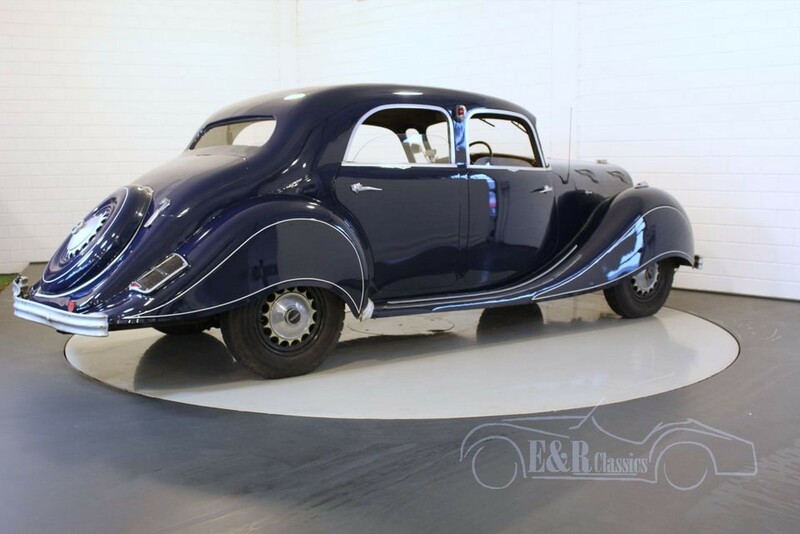 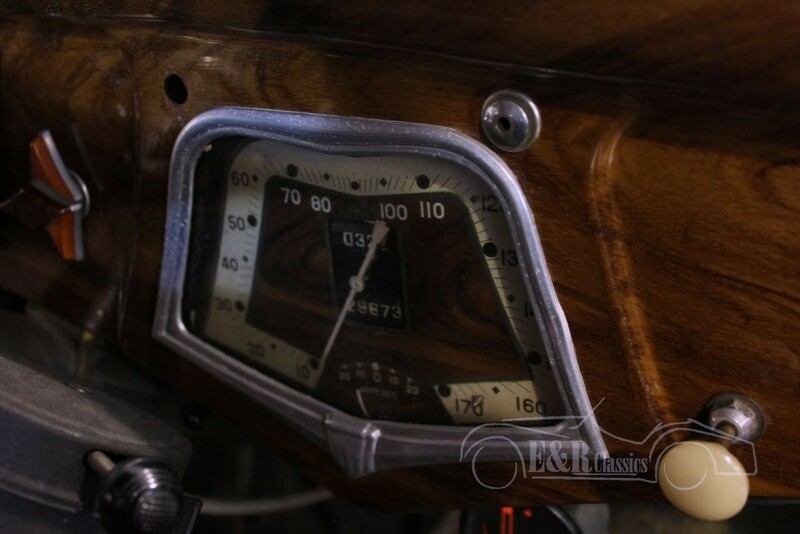 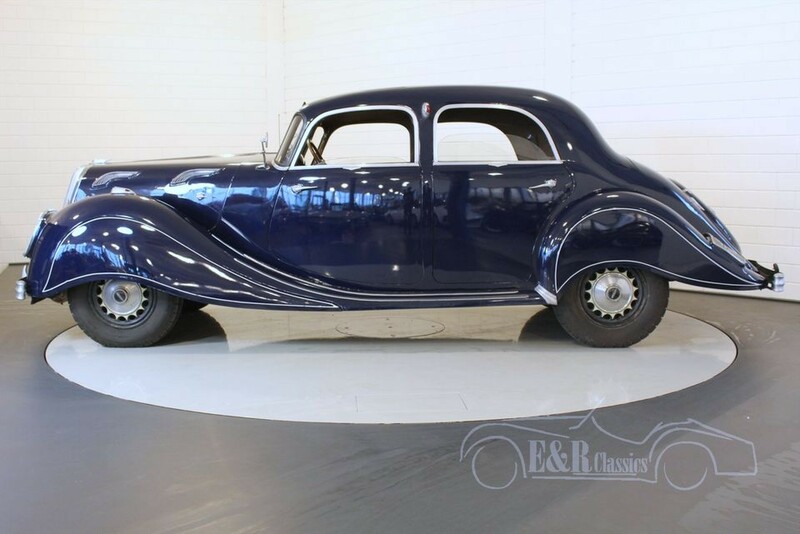 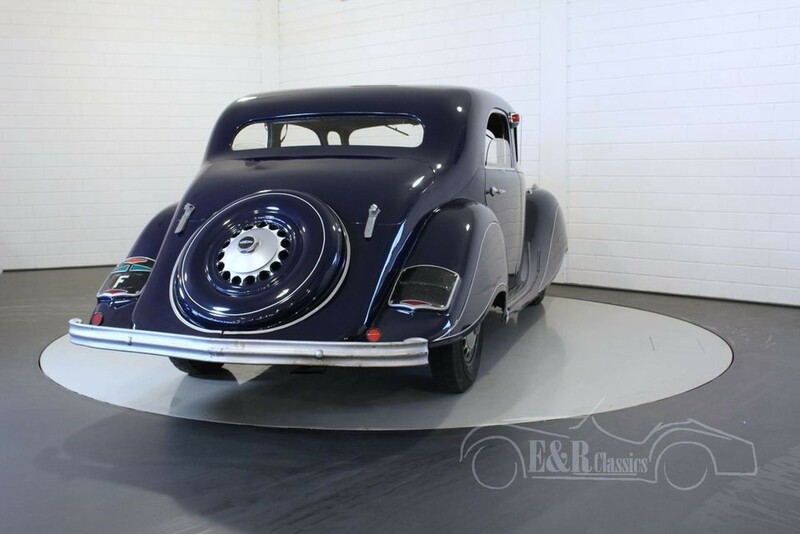 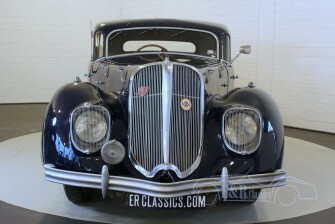 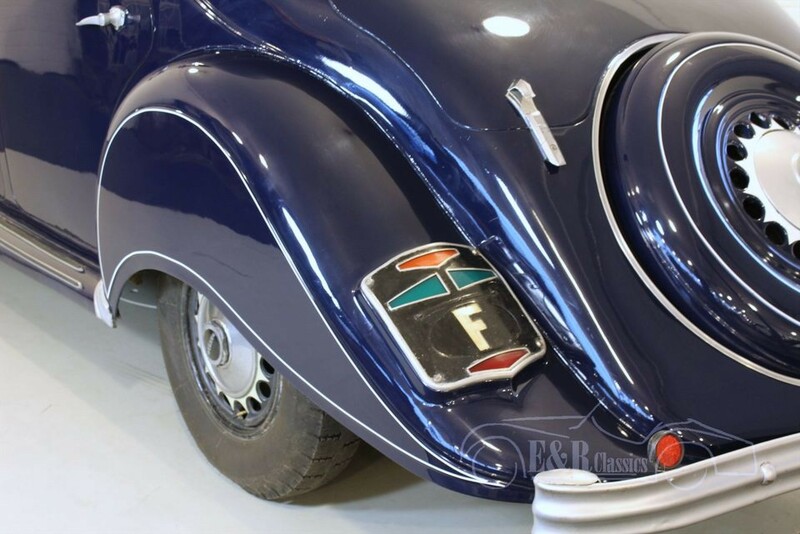 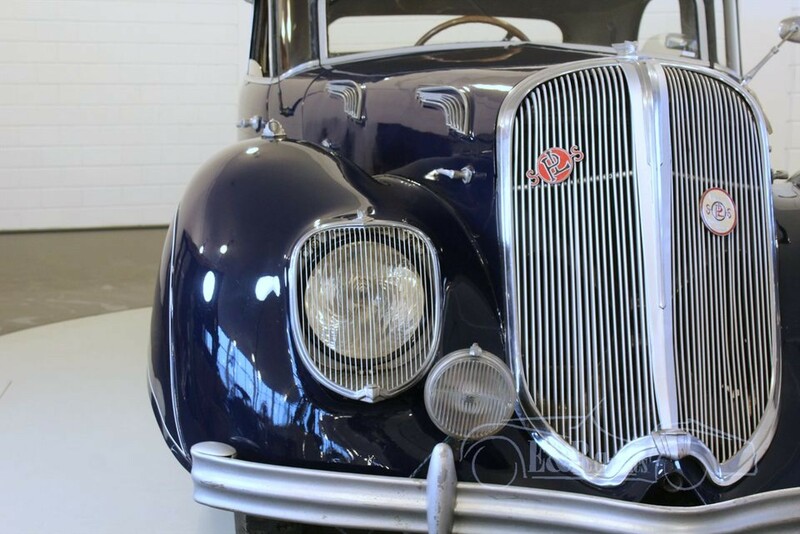 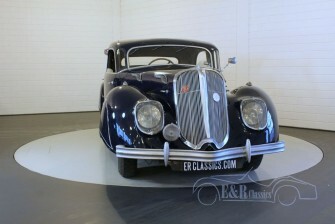 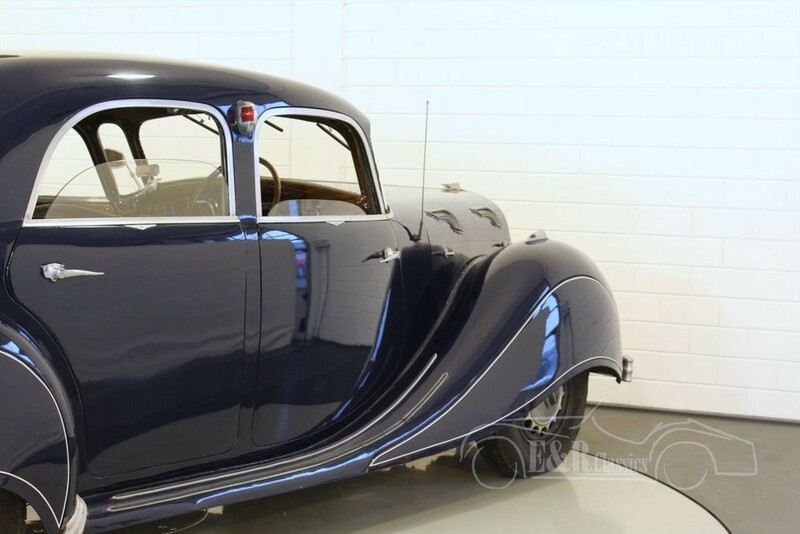 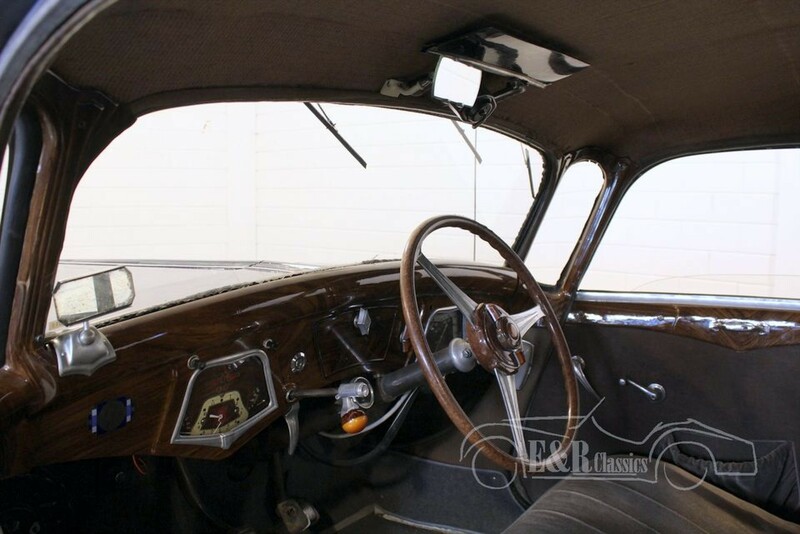 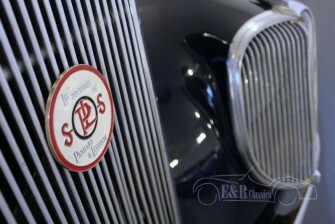 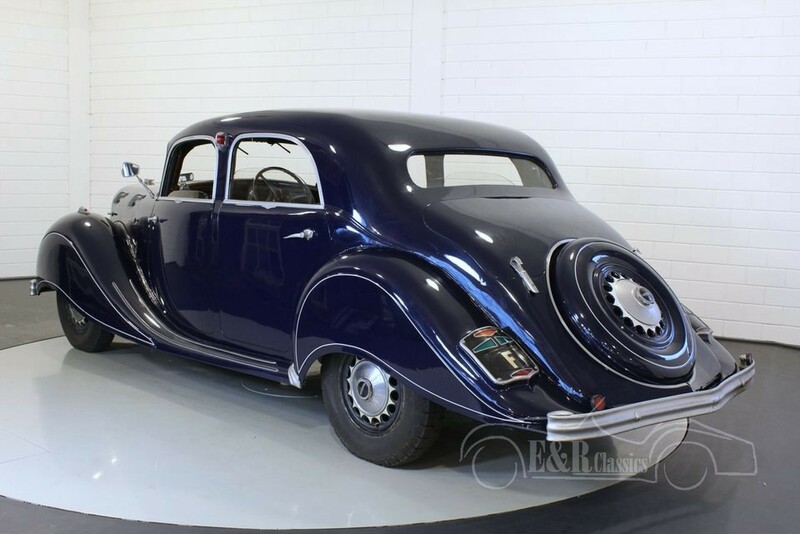 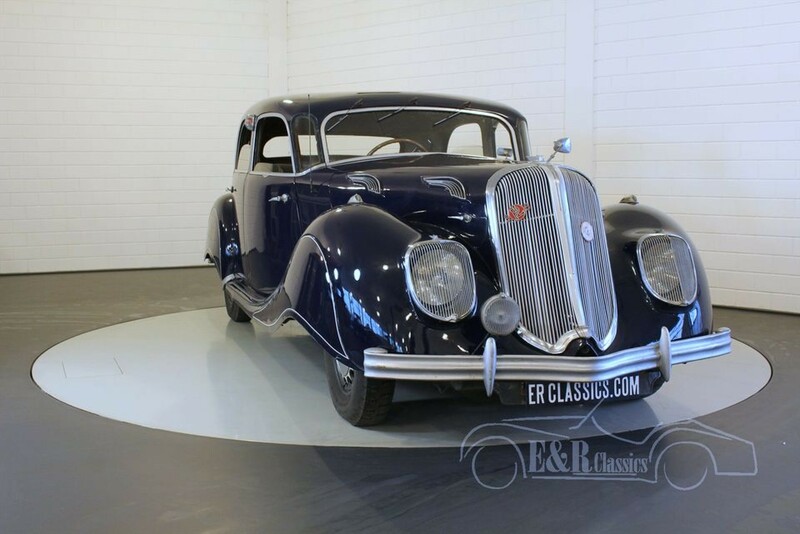 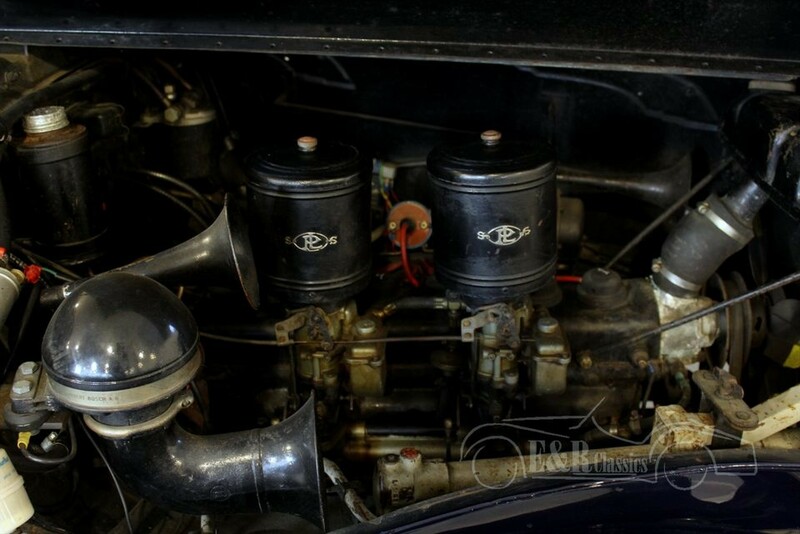 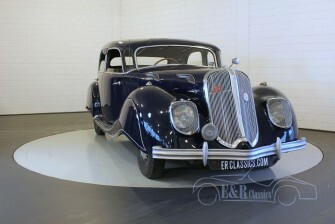 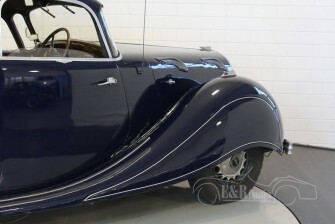 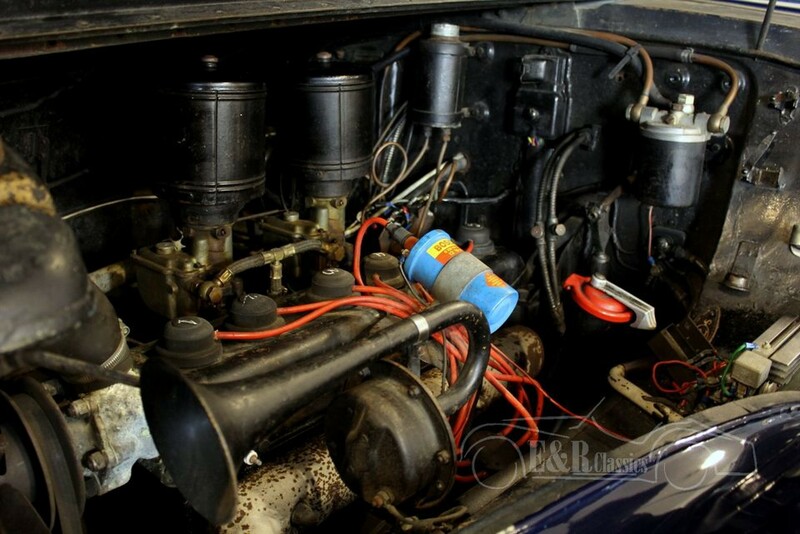 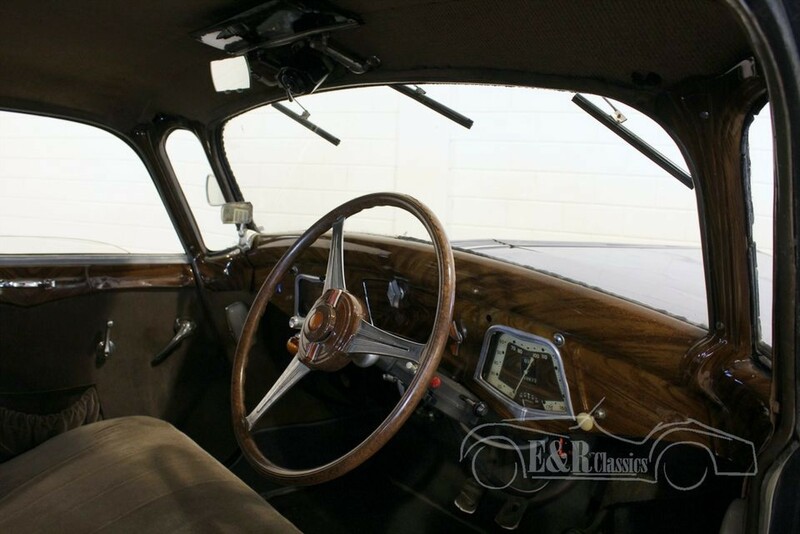 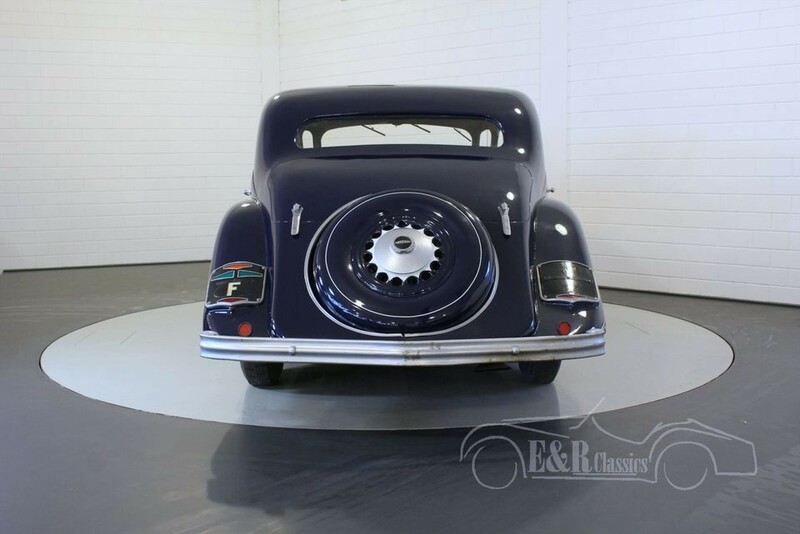 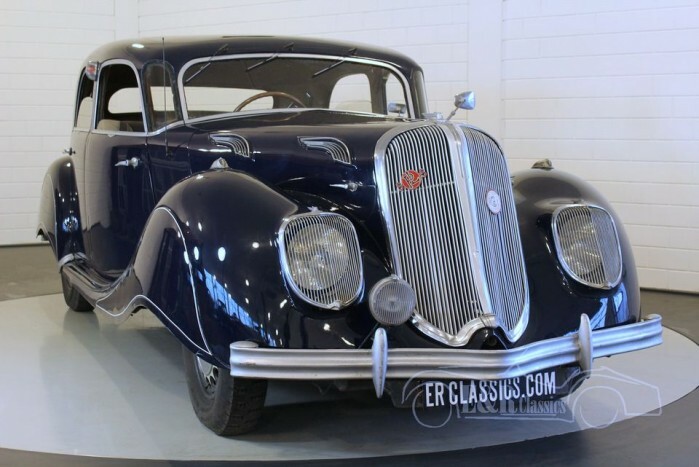 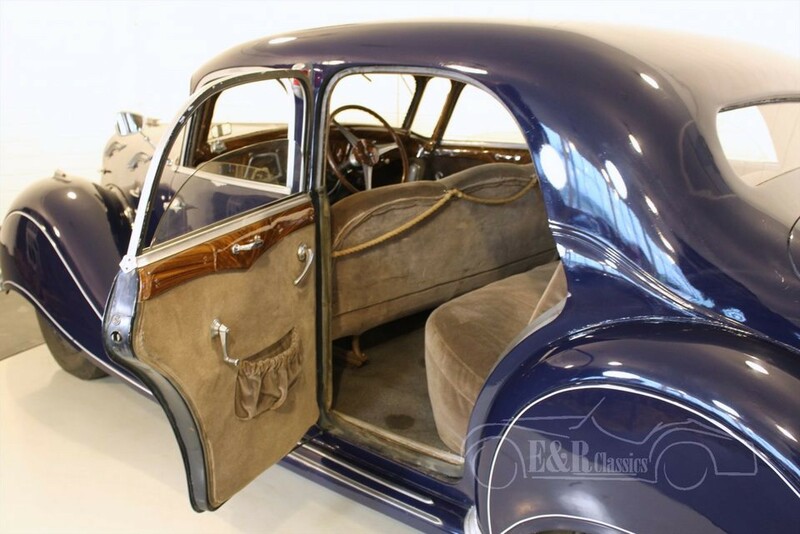 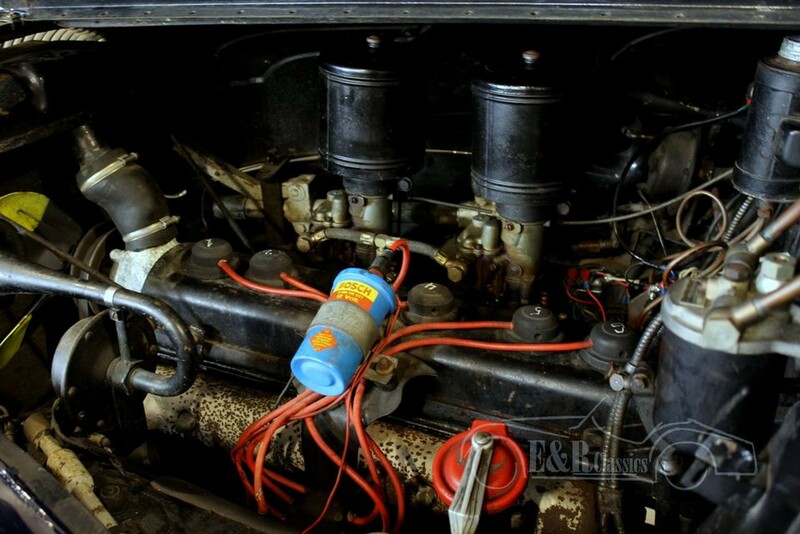 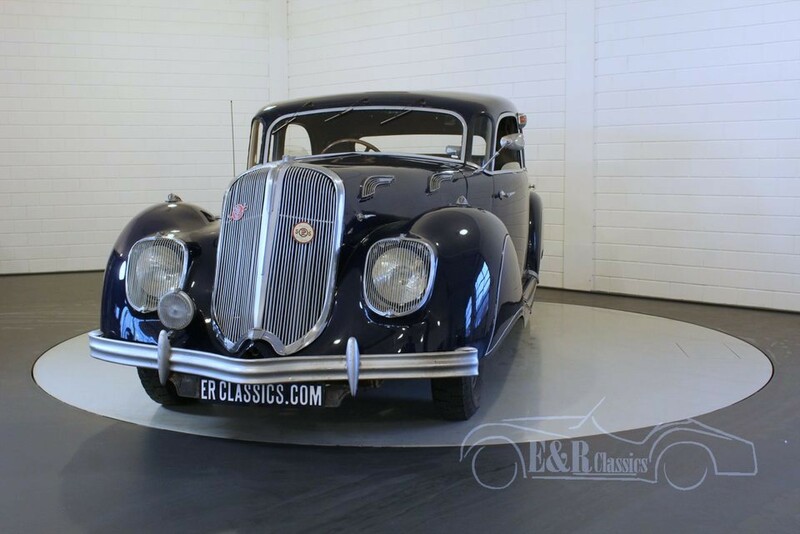 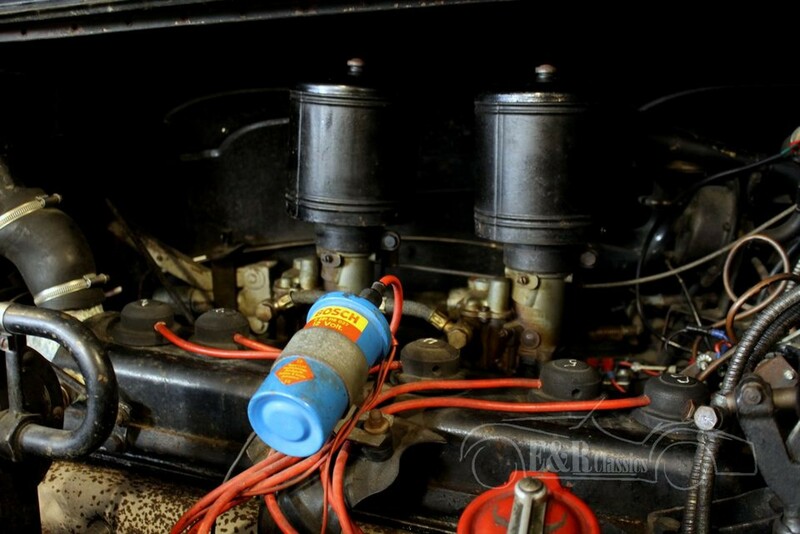 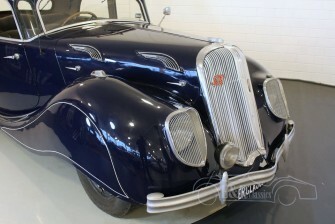 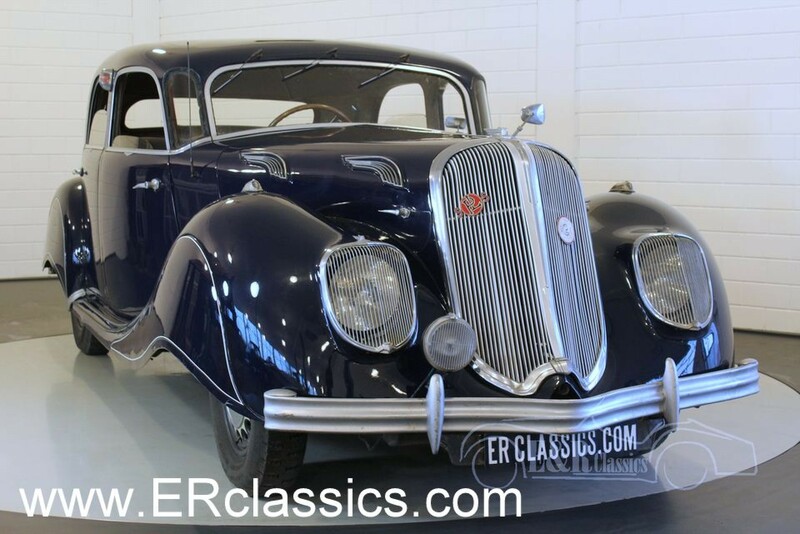 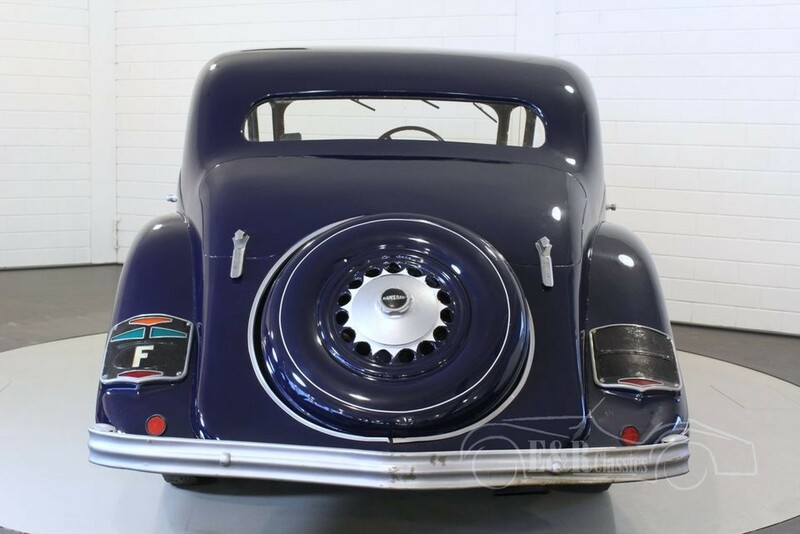 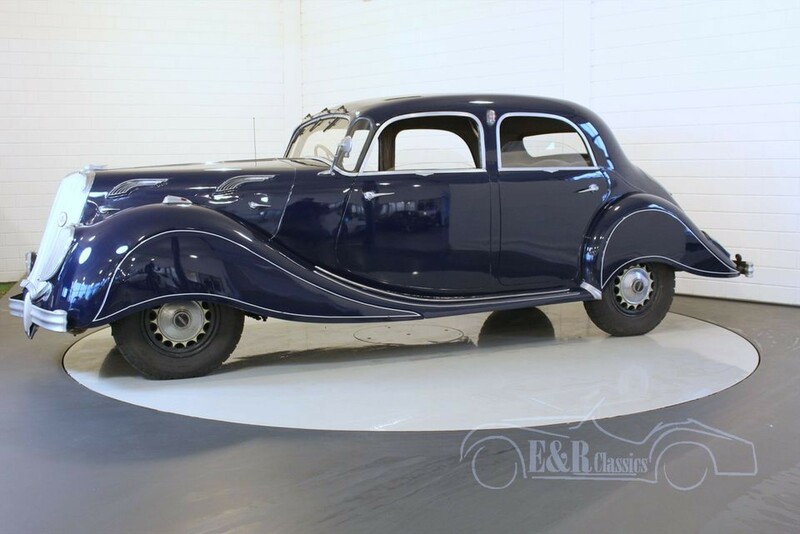 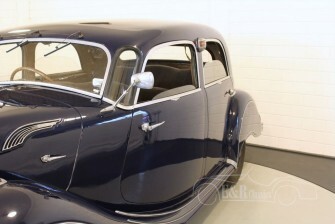 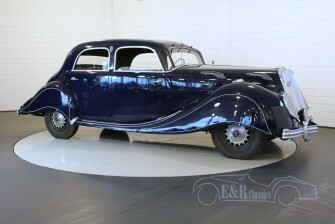 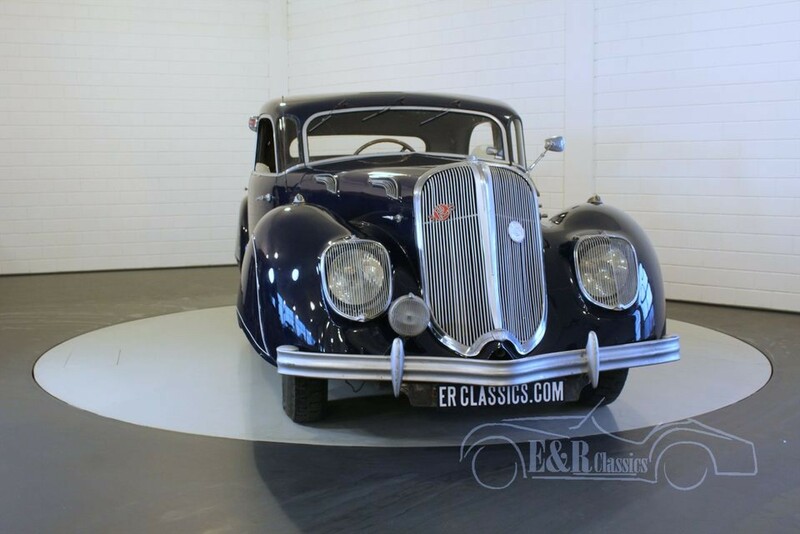 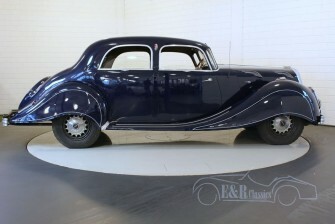 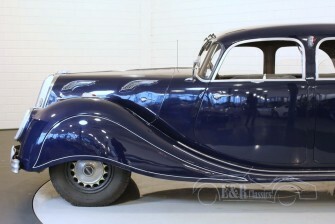 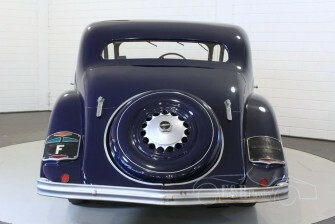 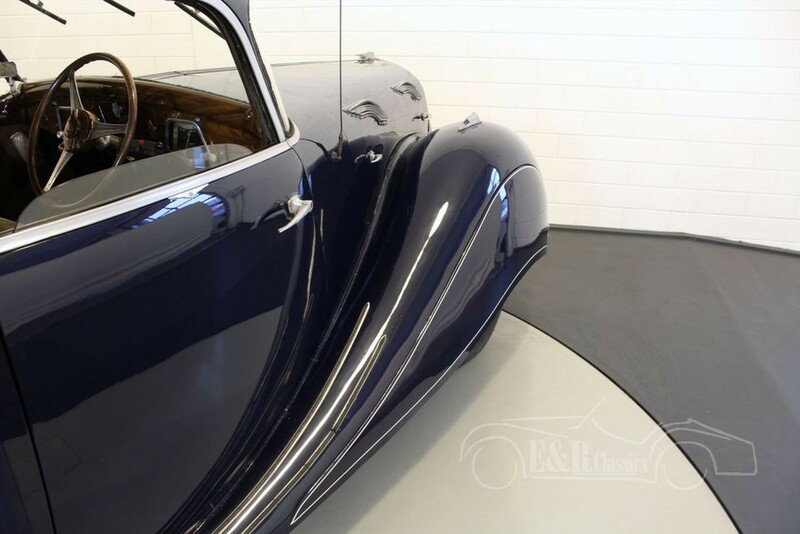 This 1937 Panhard Dynamic is a real collectorsitem. 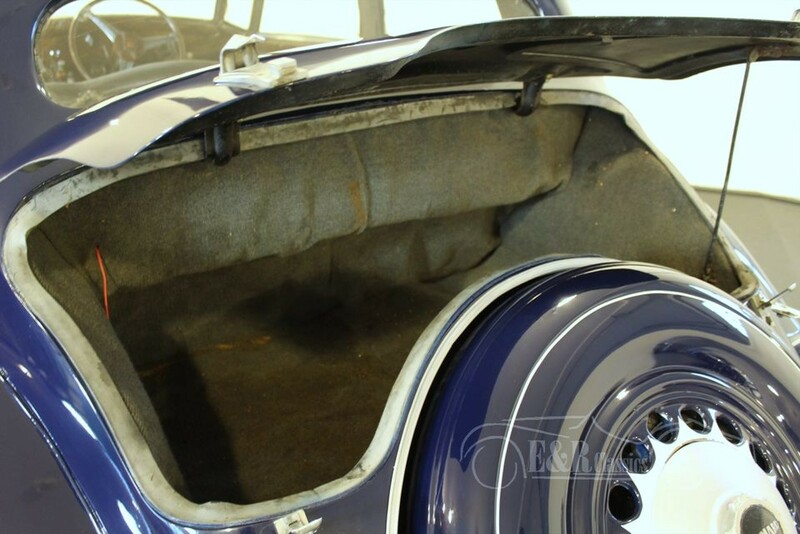 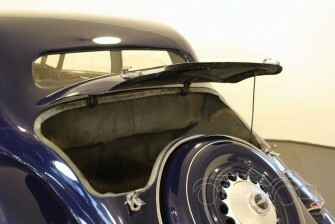 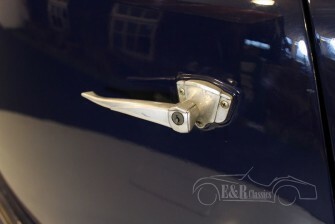 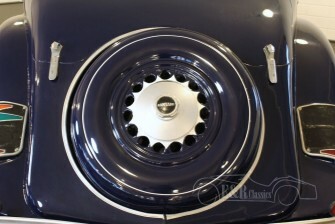 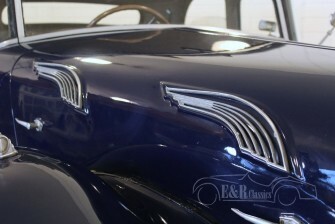 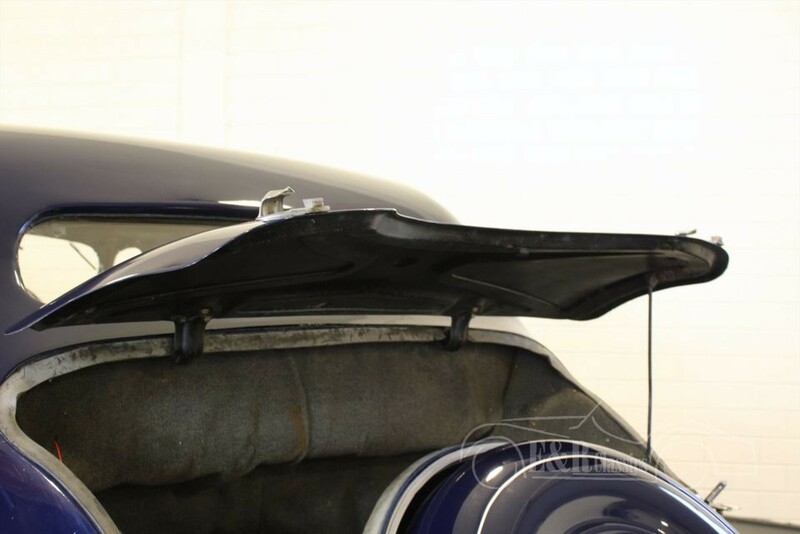 The advanced design was emphasized by the deep blue paint with white striping. 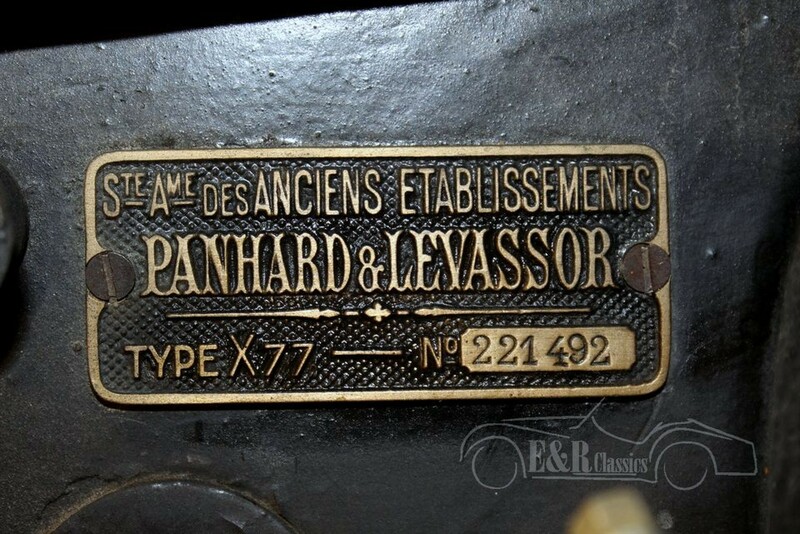 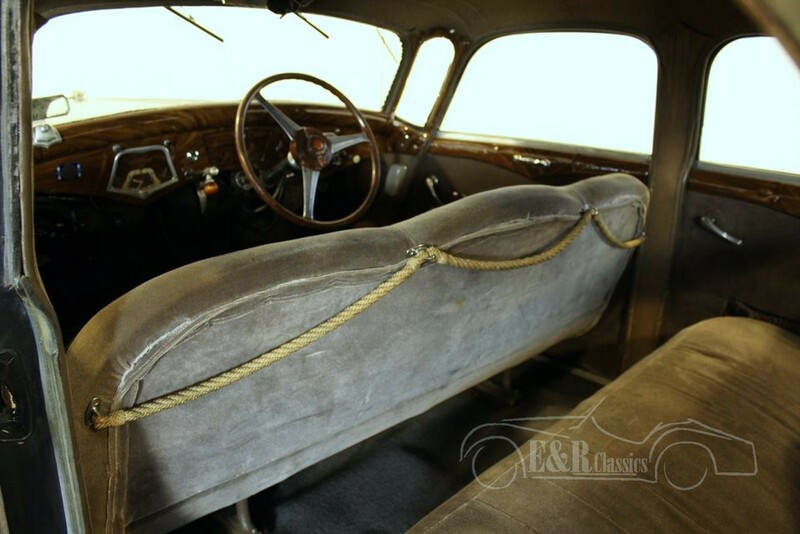 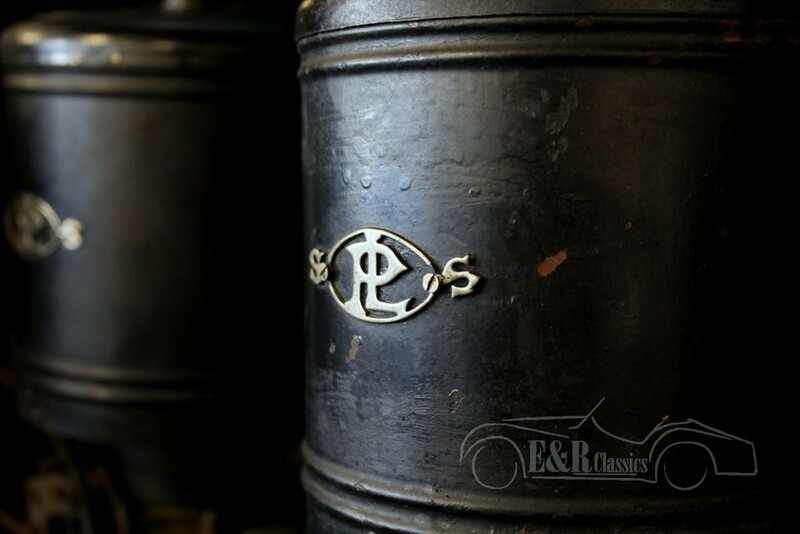 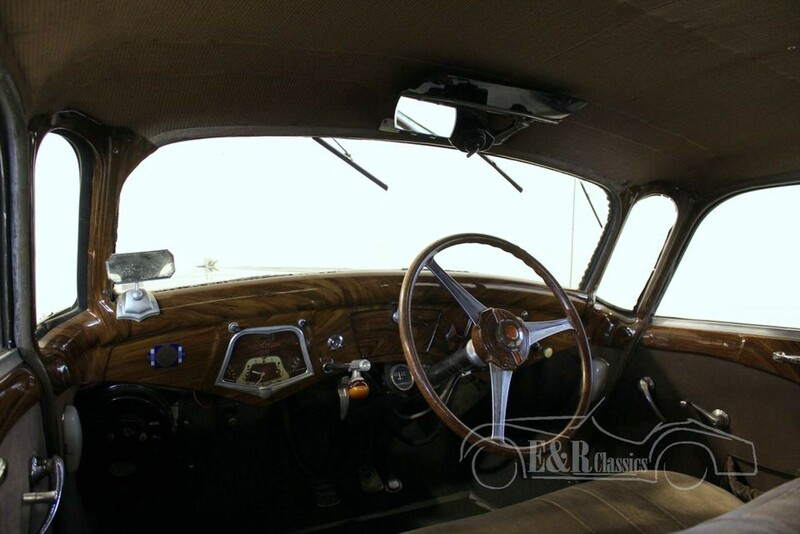 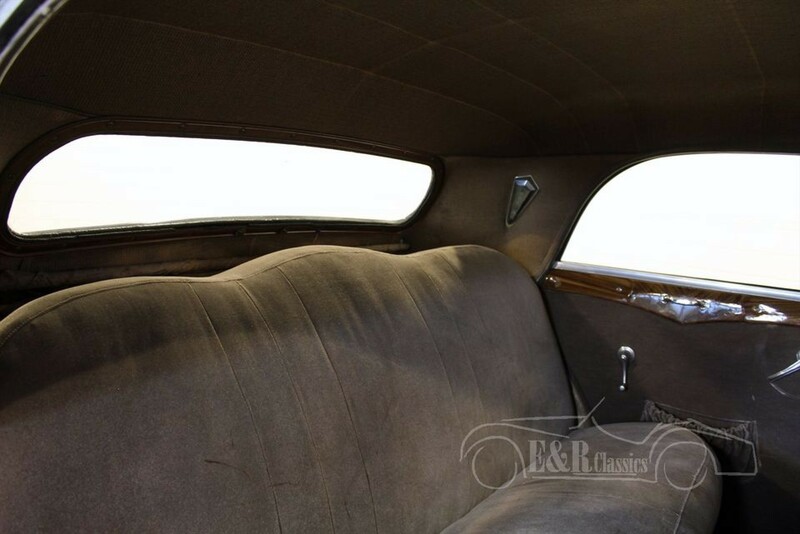 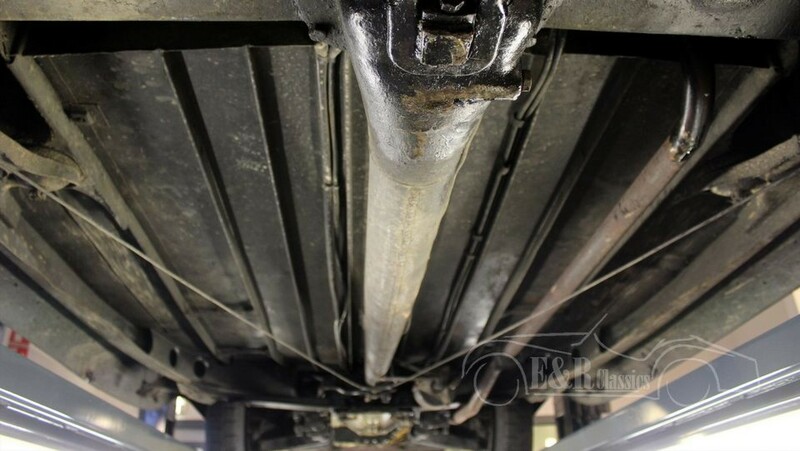 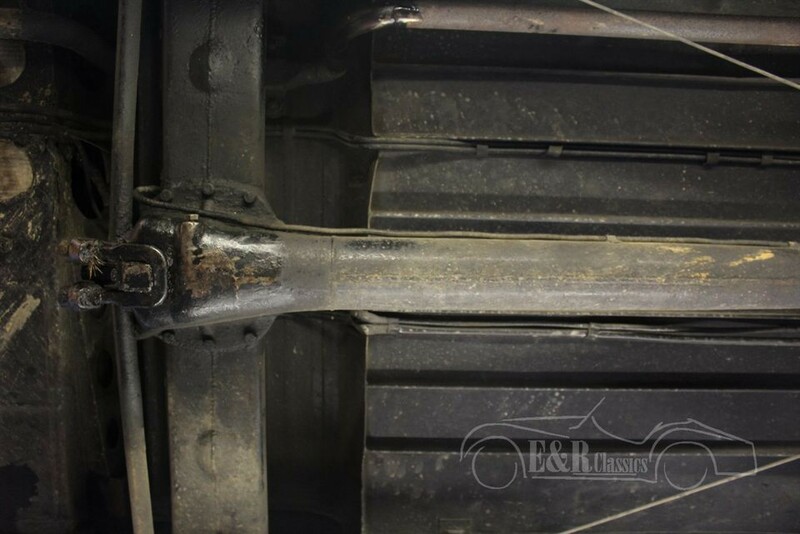 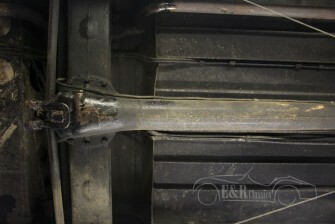 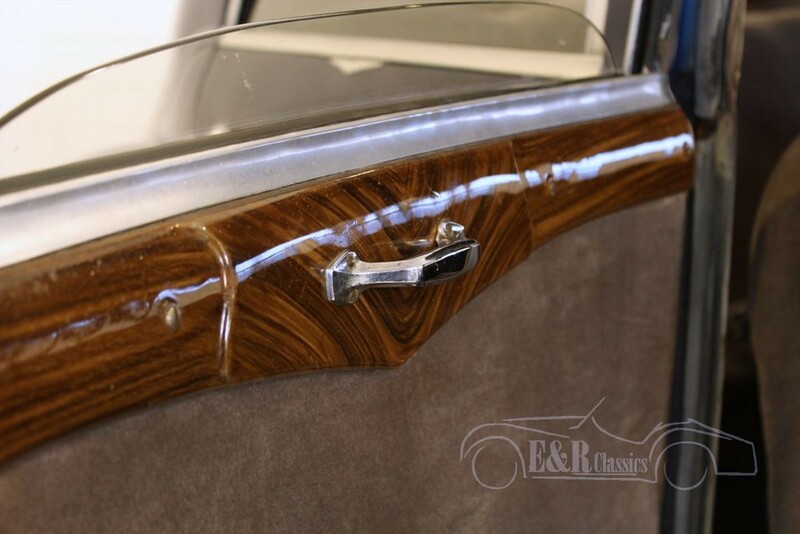 This Panhard is in original condition with patina and hasn’t driven for a long time. The car needs some work and attention to drive well again. 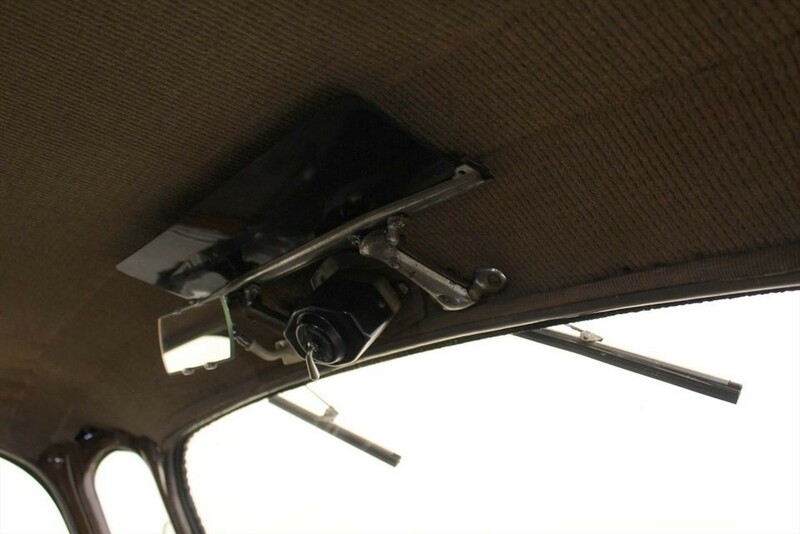 The car has a surround view thanks to the panoramic front windshield. 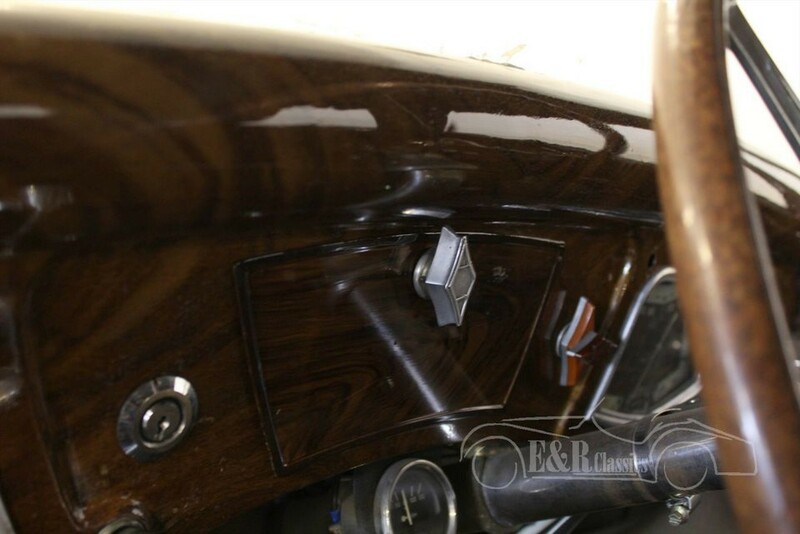 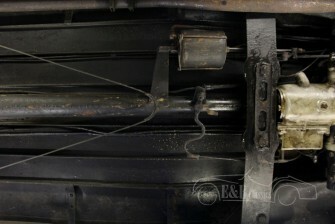 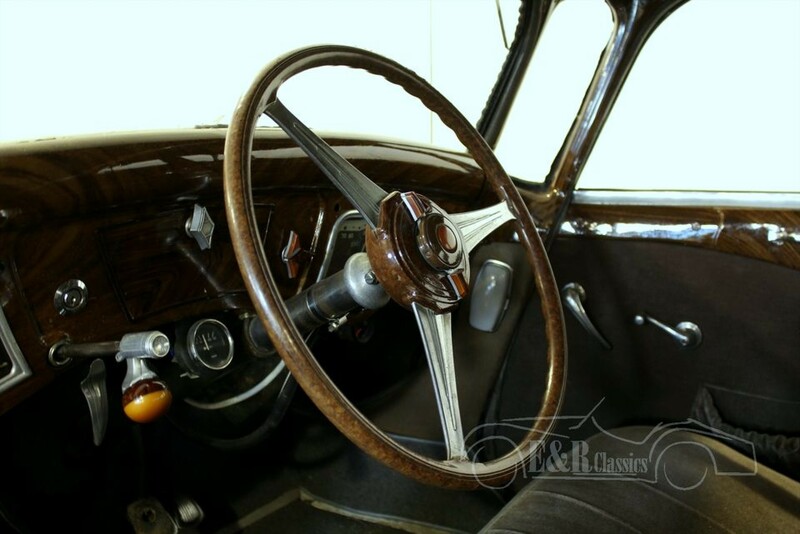 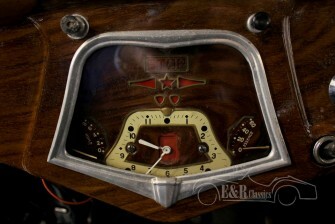 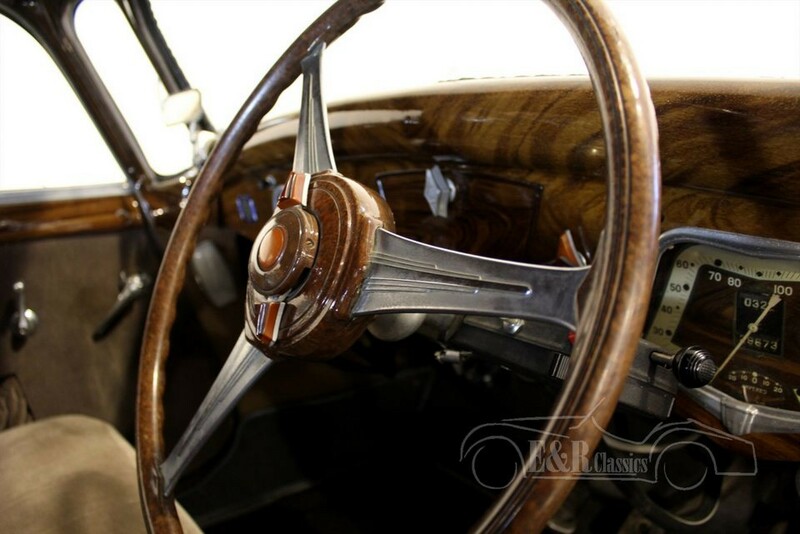 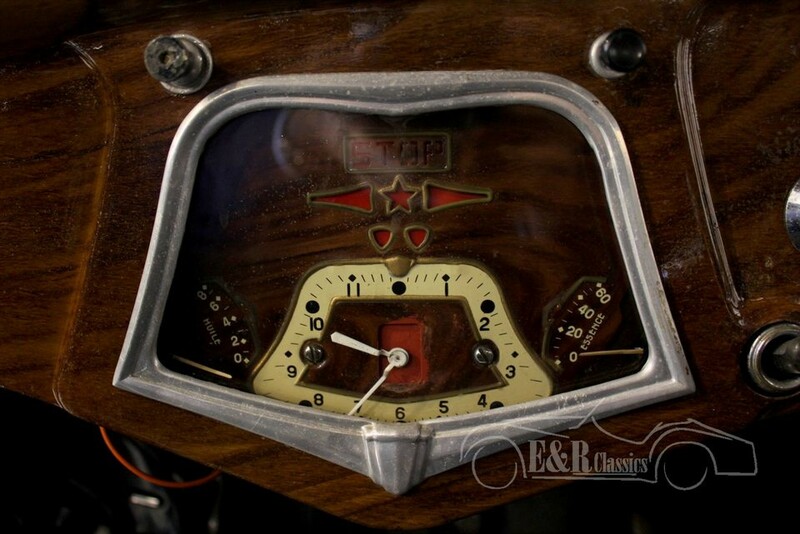 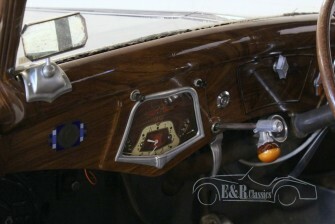 The steering wheel in the middle has a dashboard with 2 combination clocks. 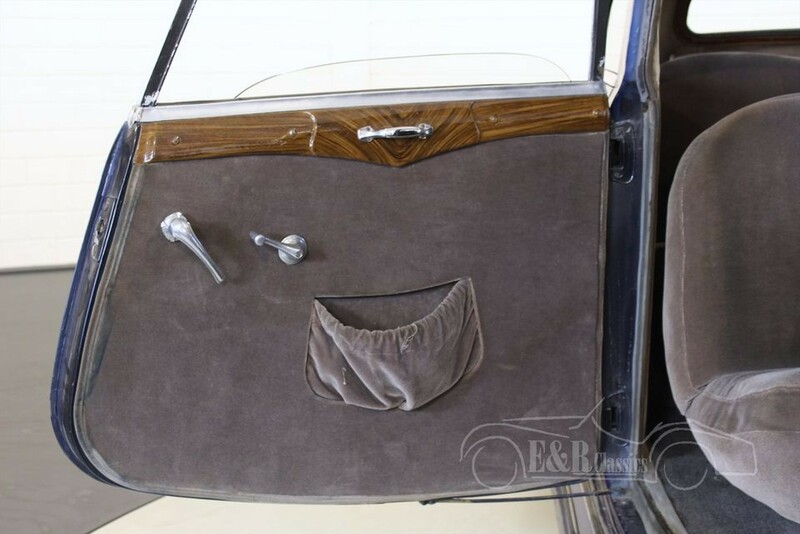 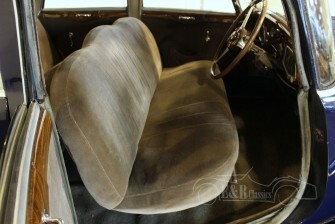 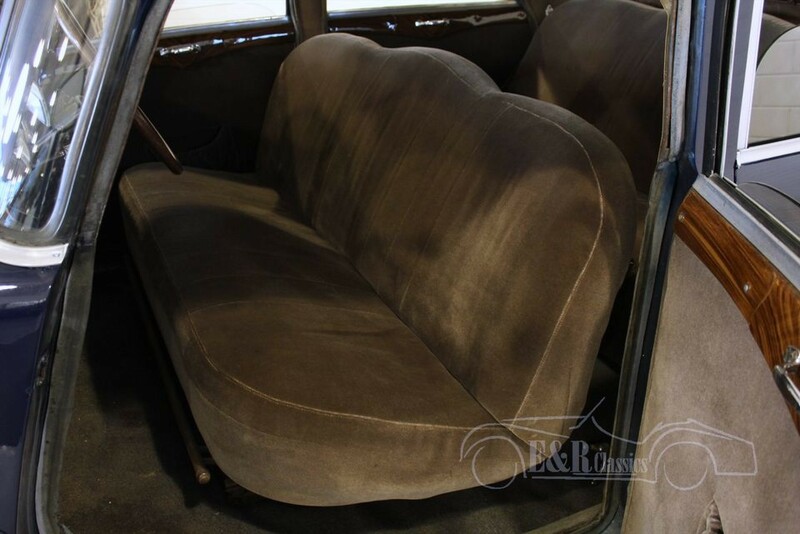 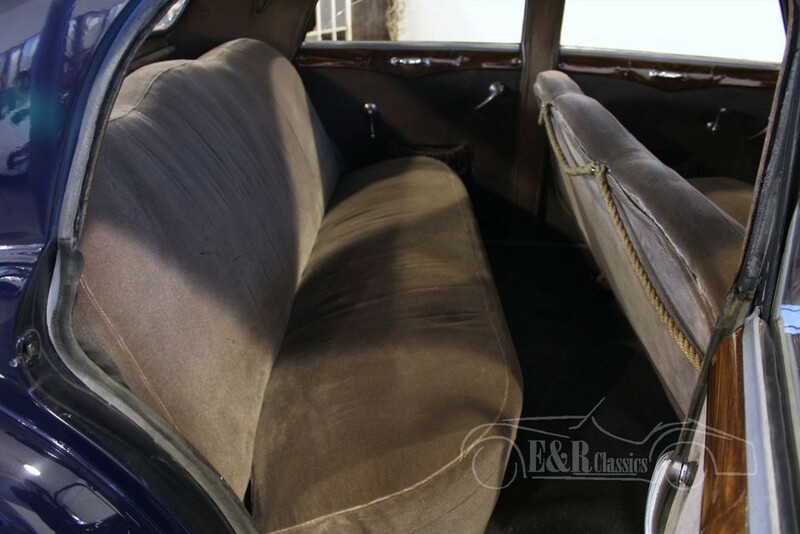 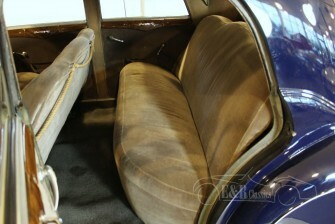 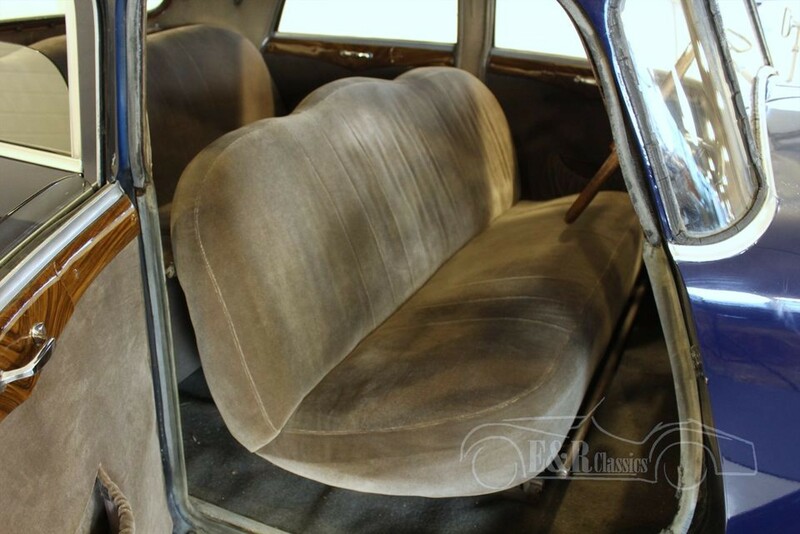 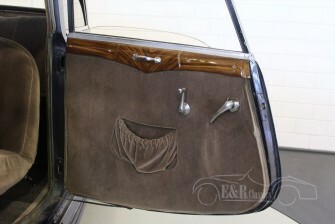 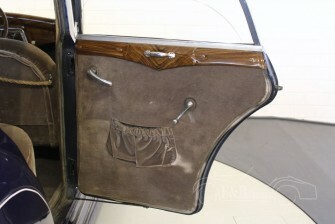 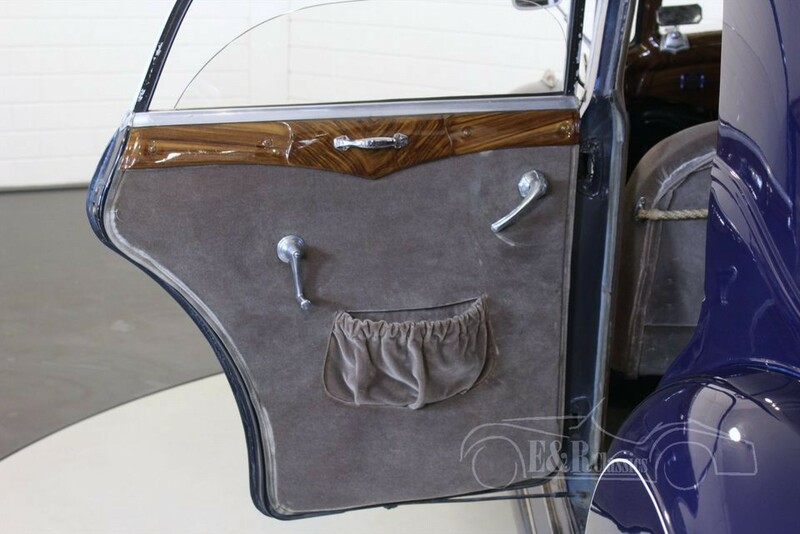 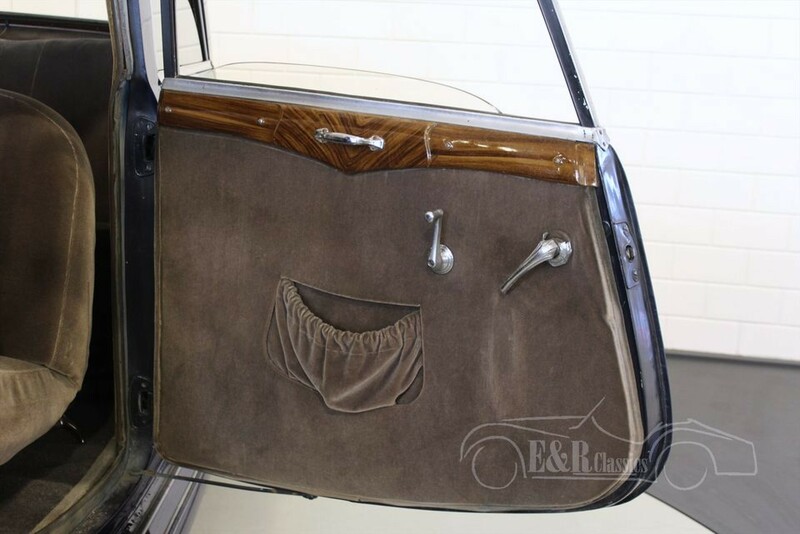 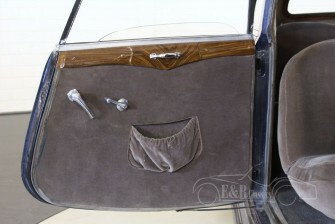 The cloth interior is in neat condition. 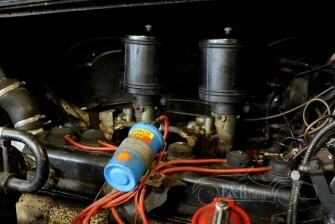 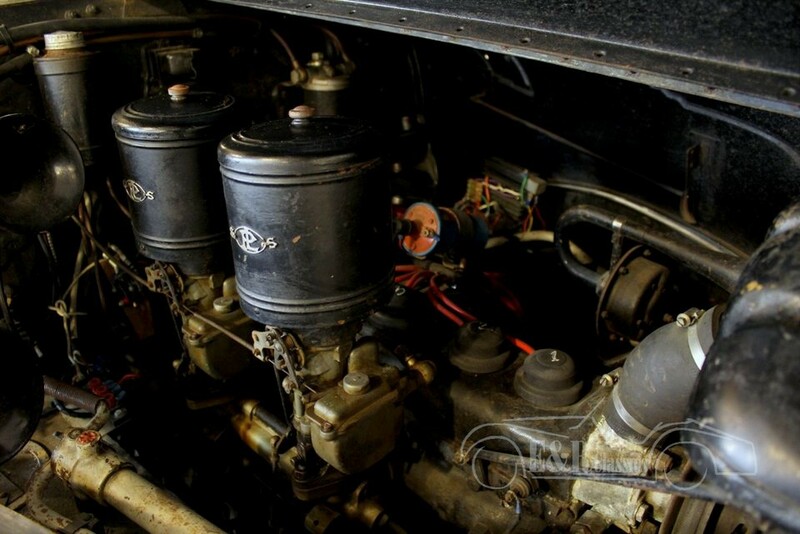 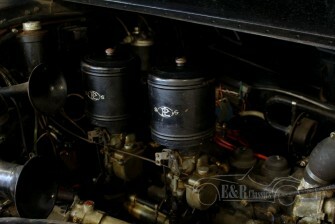 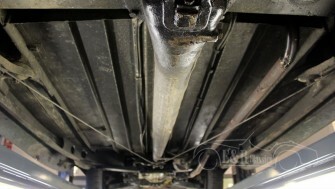 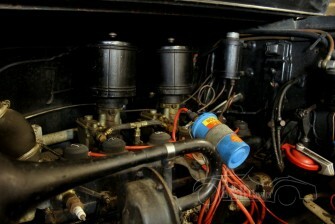 The Dynamic has the original 2863 CC, 6 cyl engine. This is a unique and marvelous designed collectorsitem.